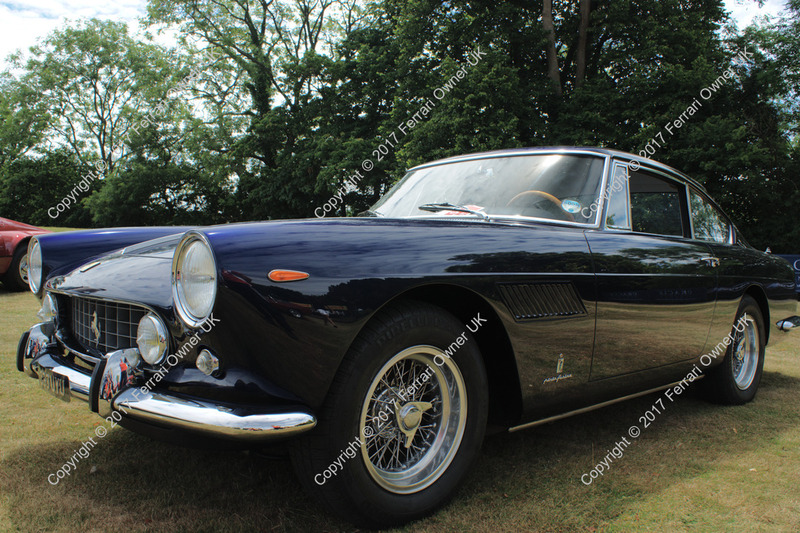 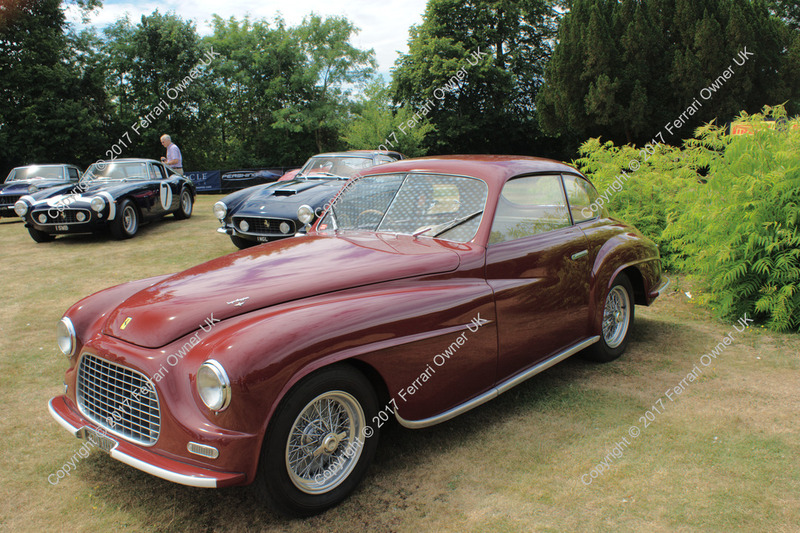 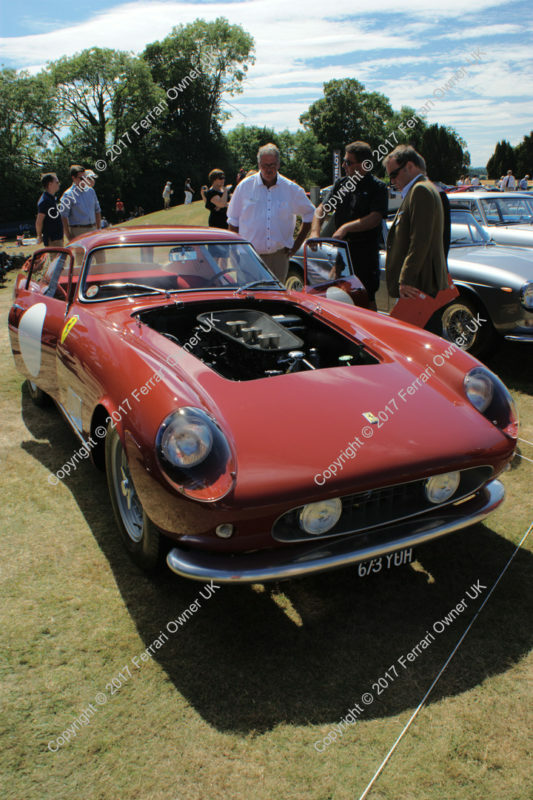 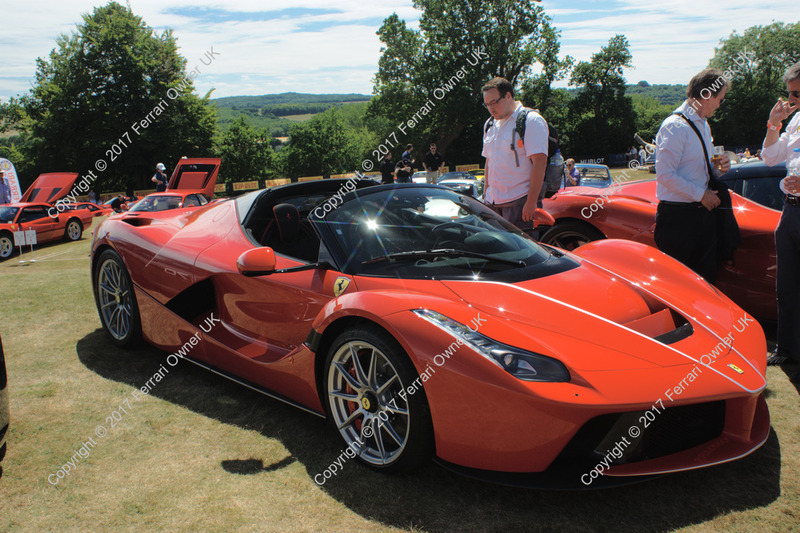 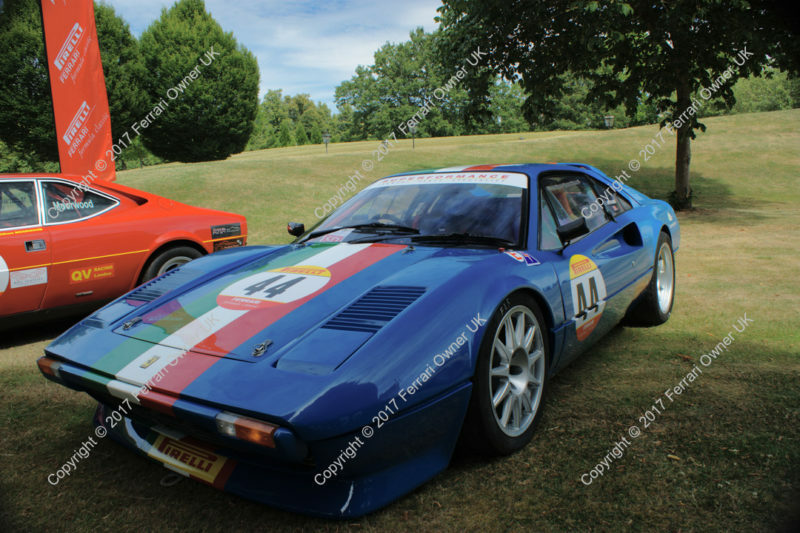 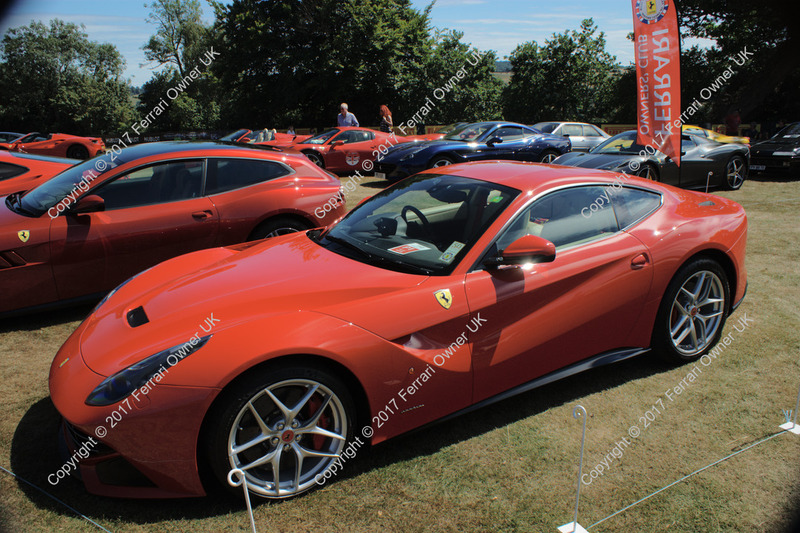 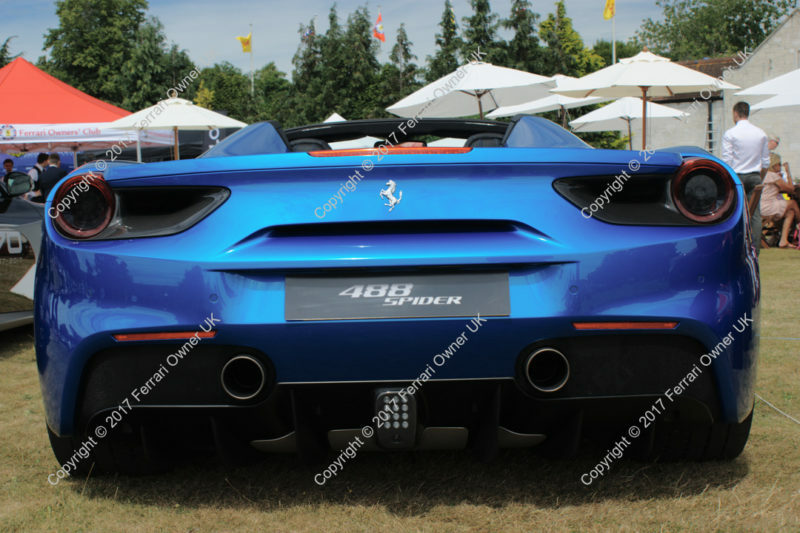 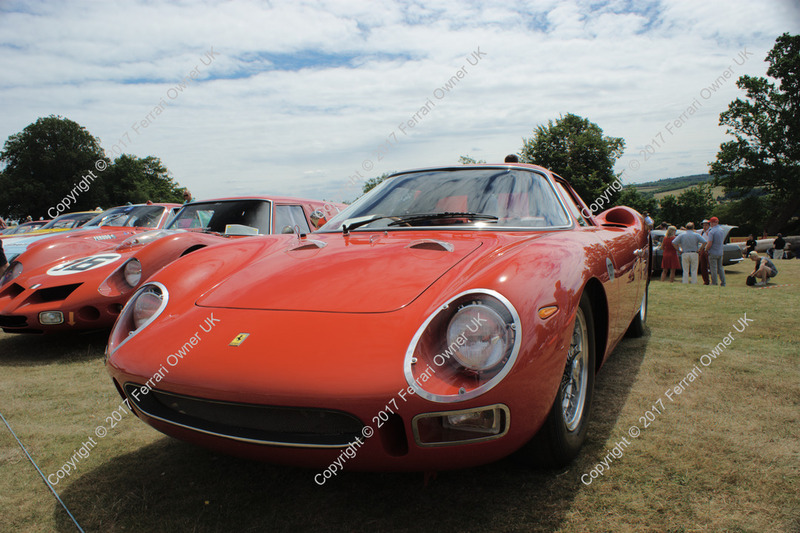 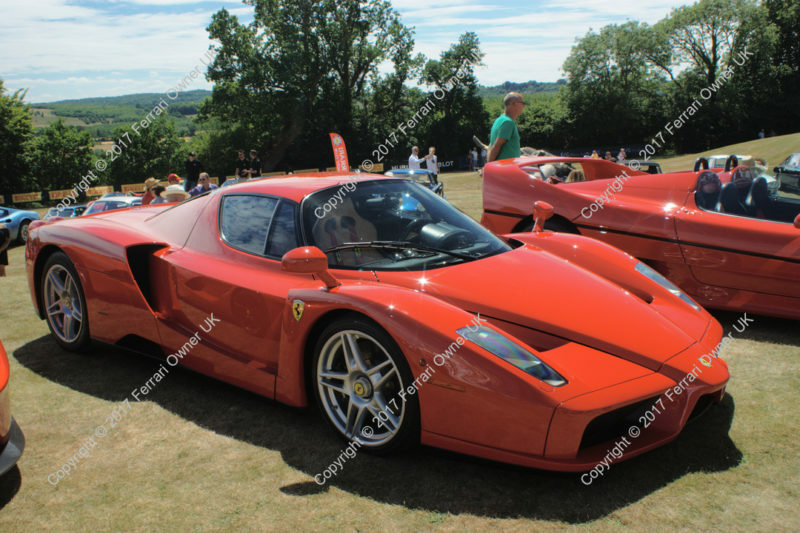 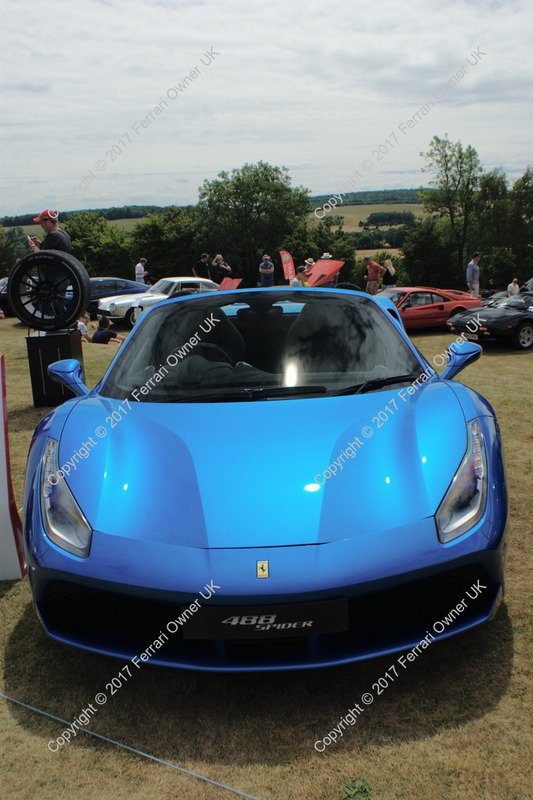 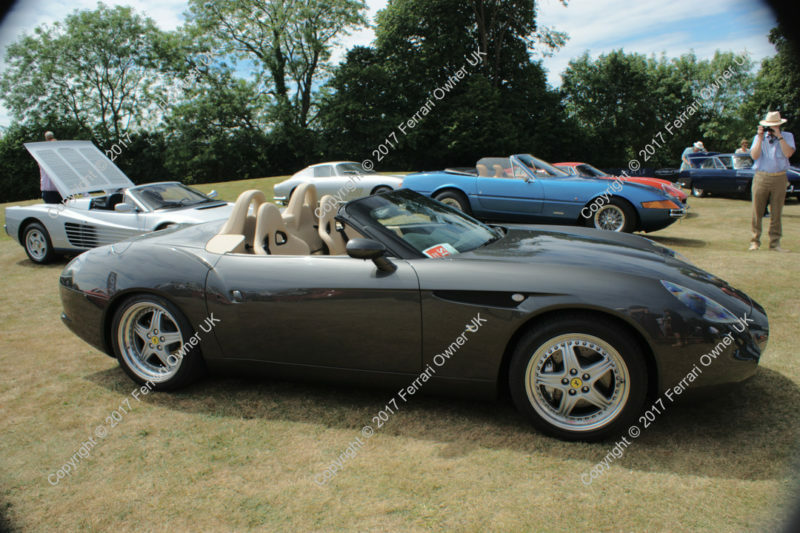 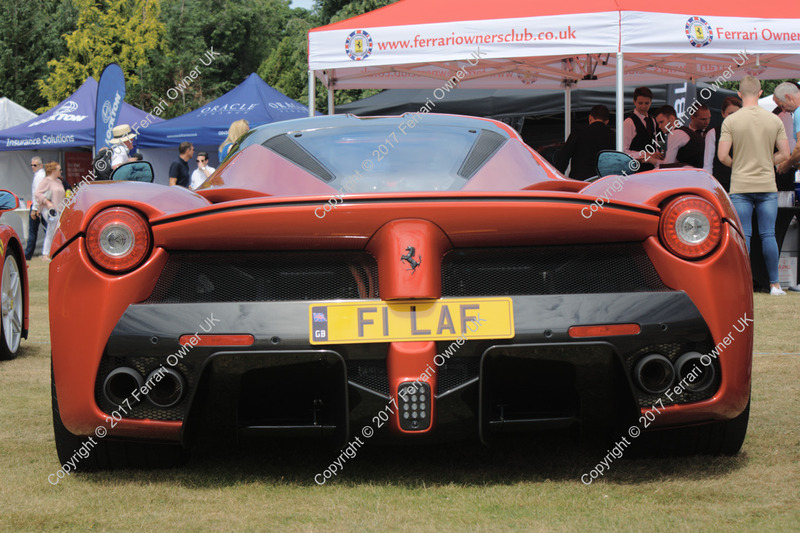 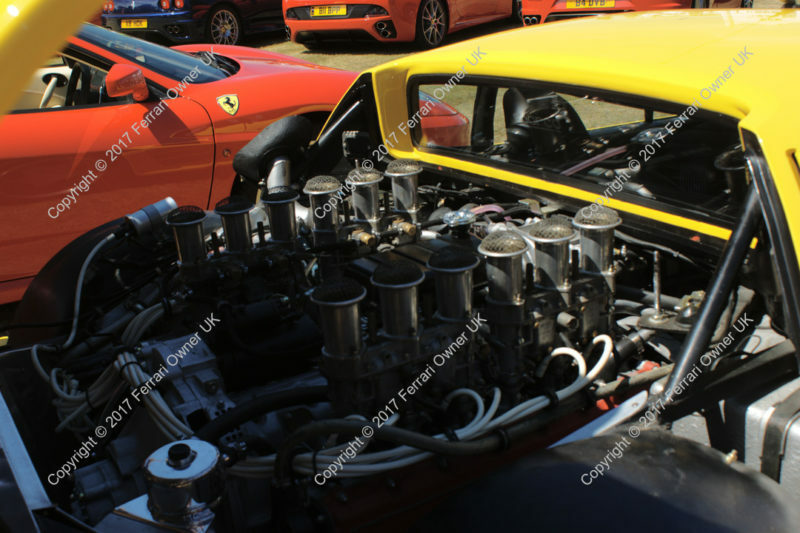 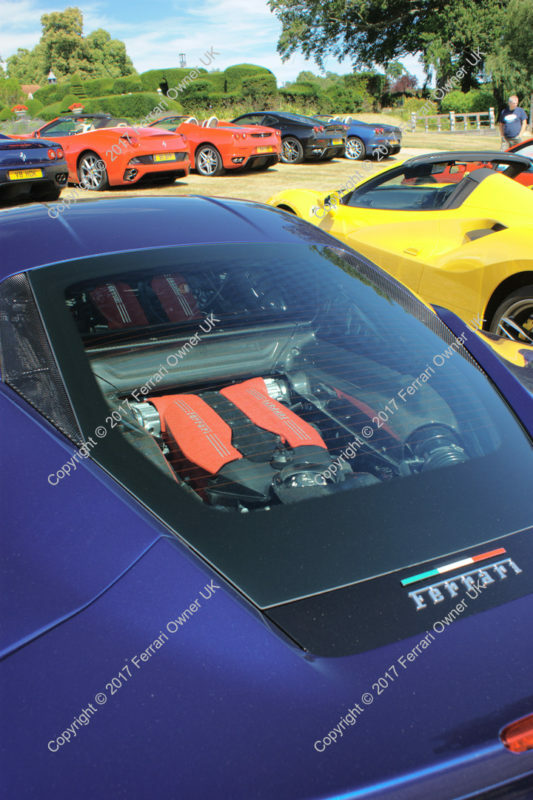 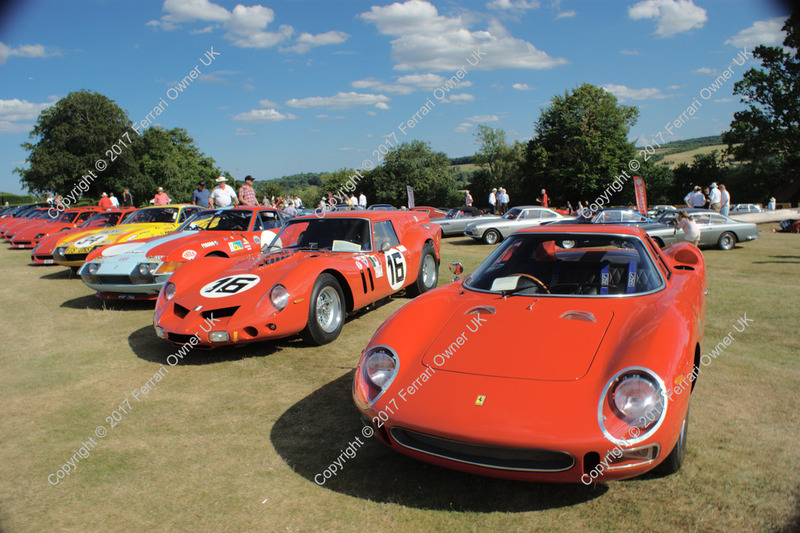 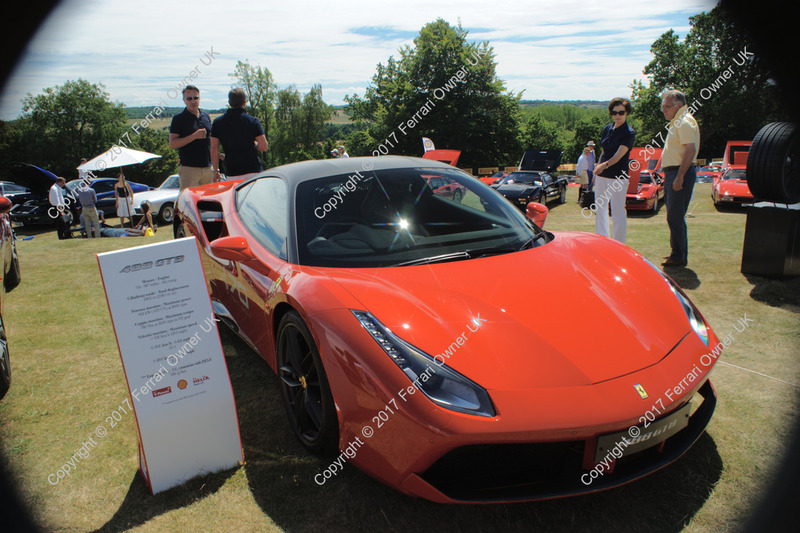 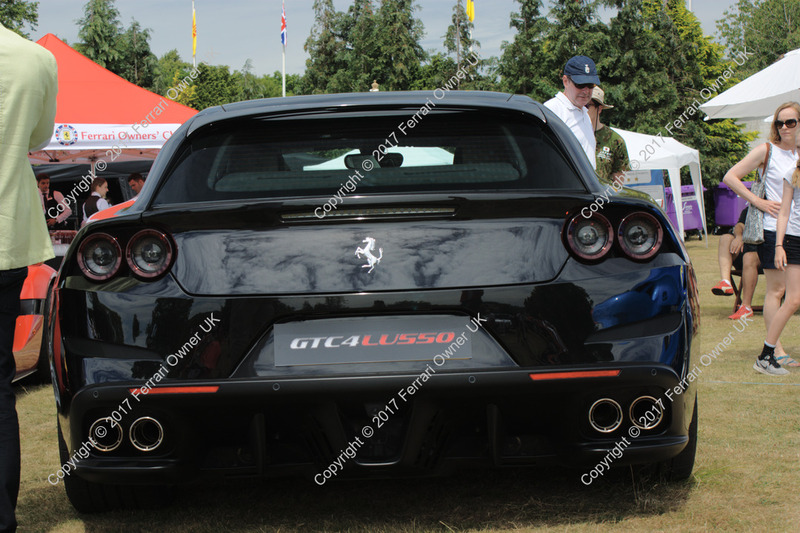 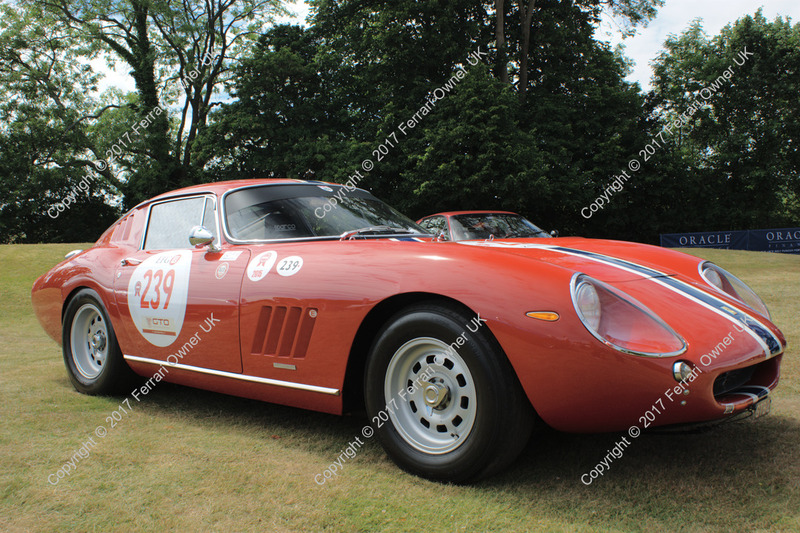 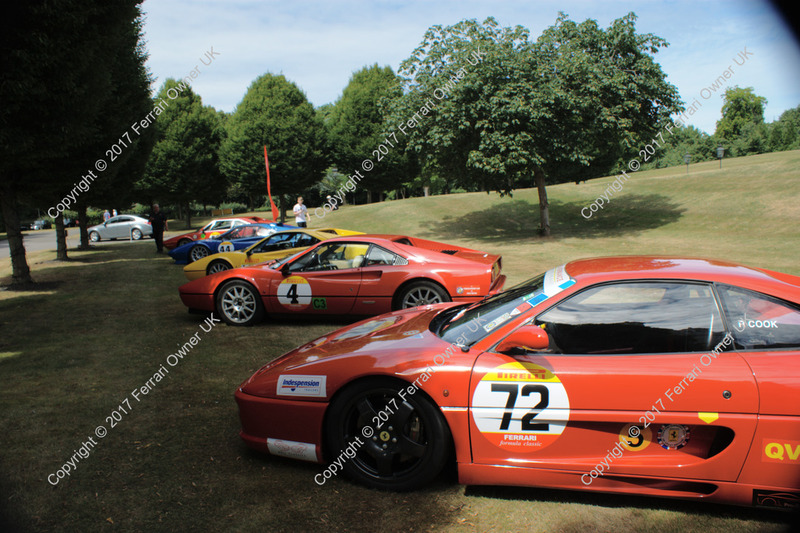 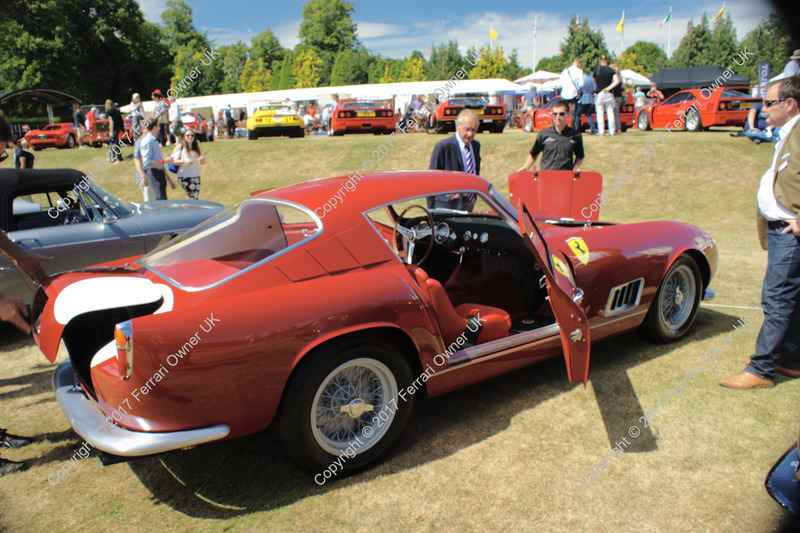 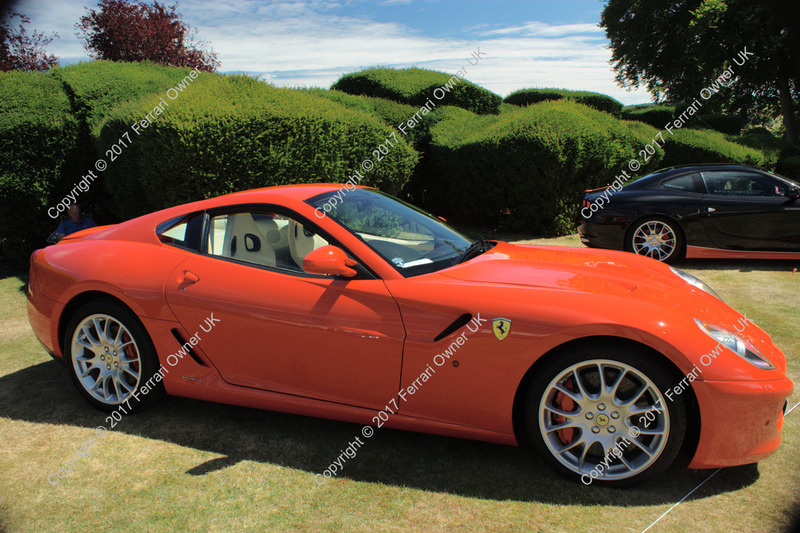 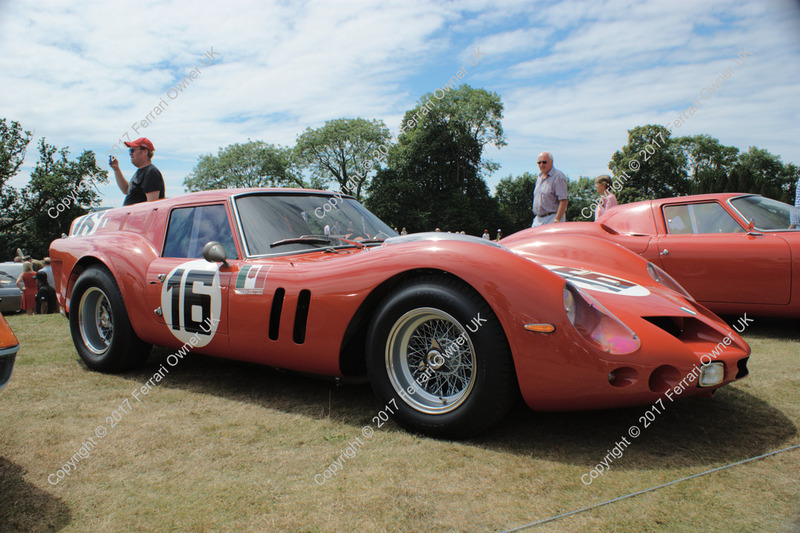 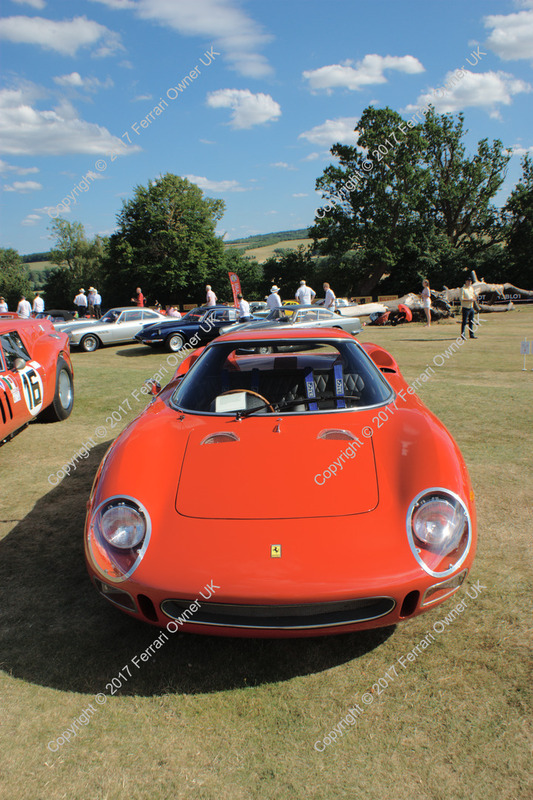 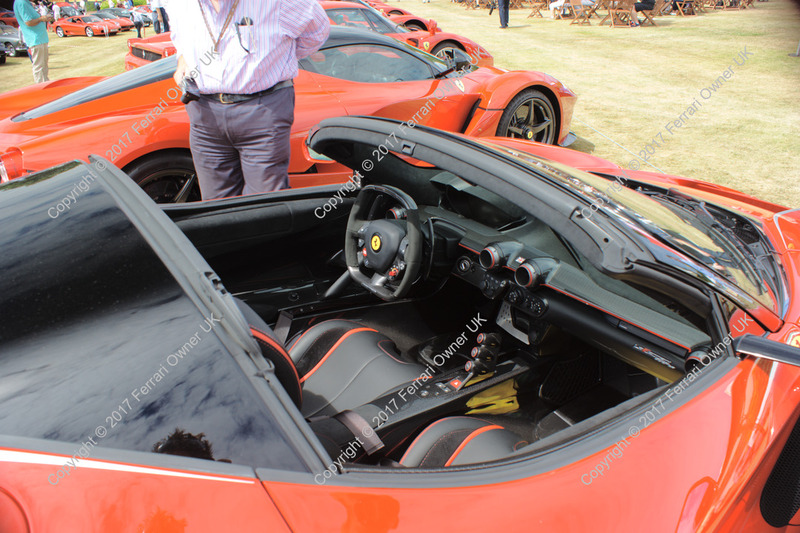 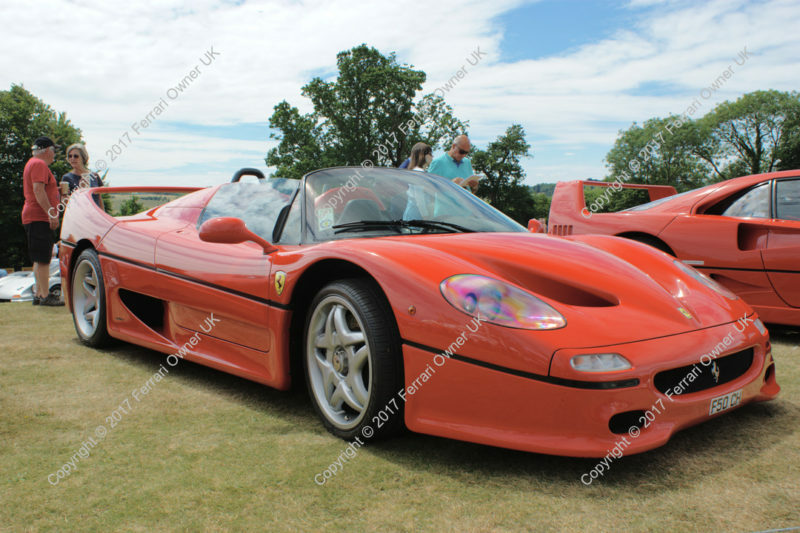 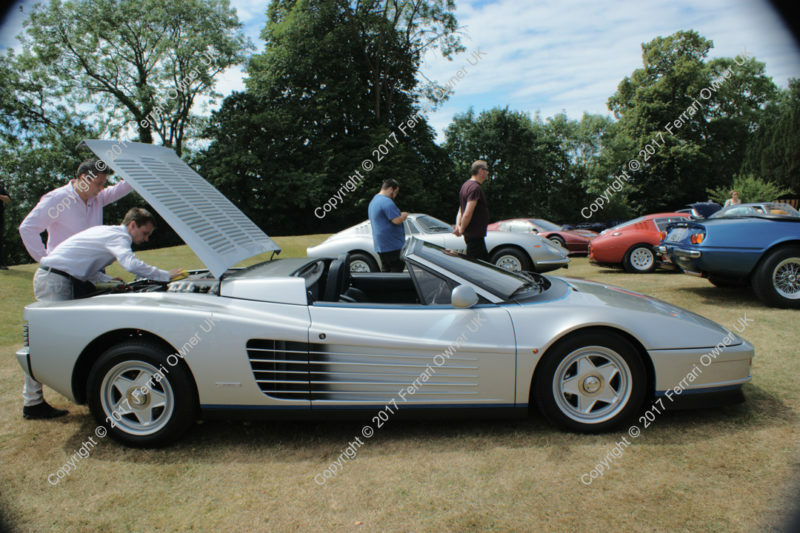 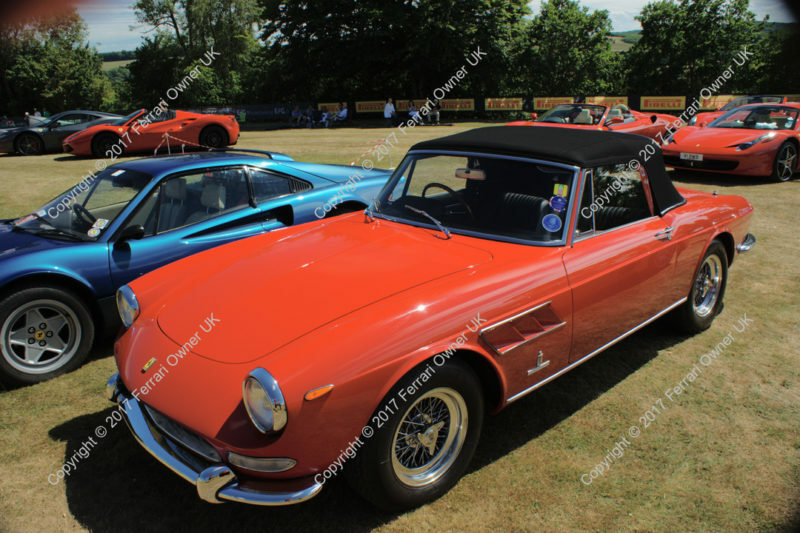 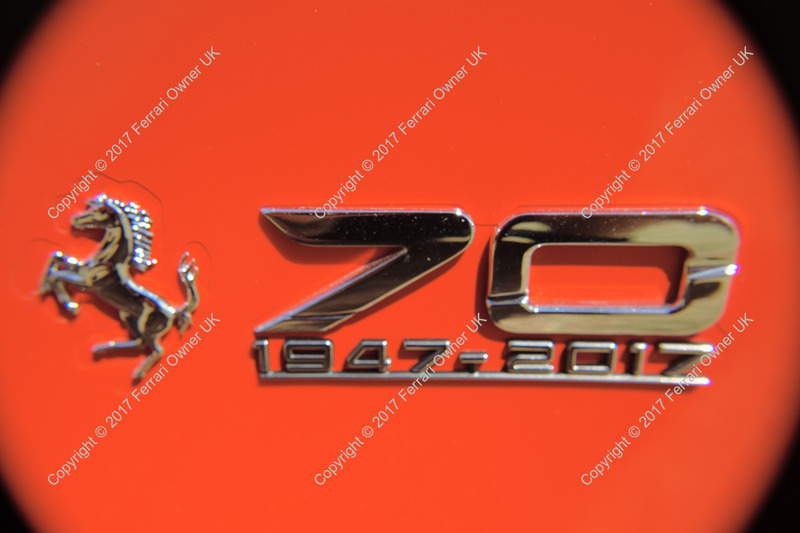 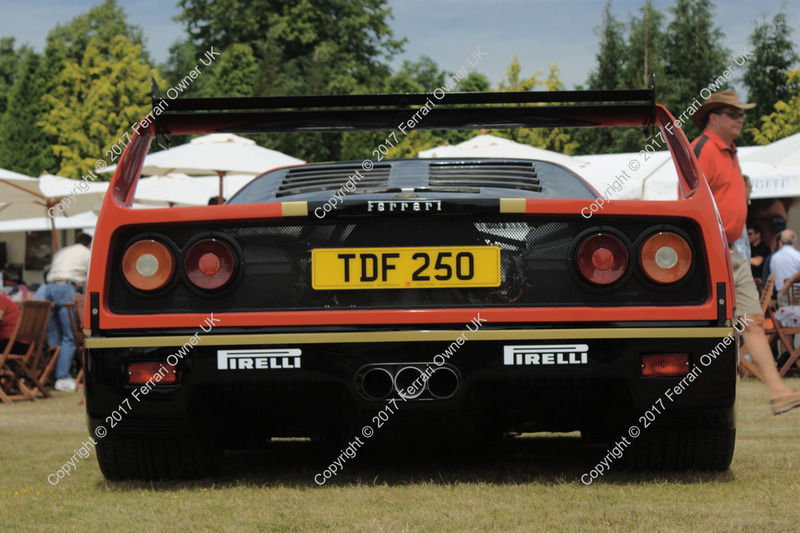 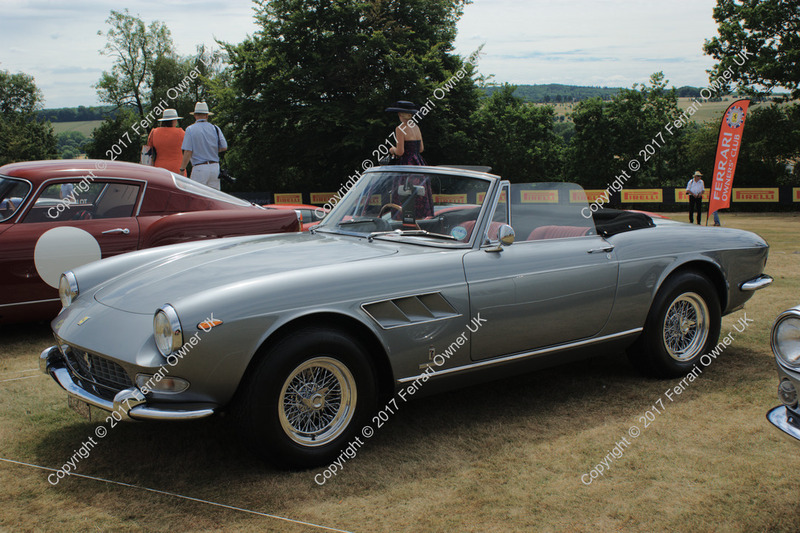 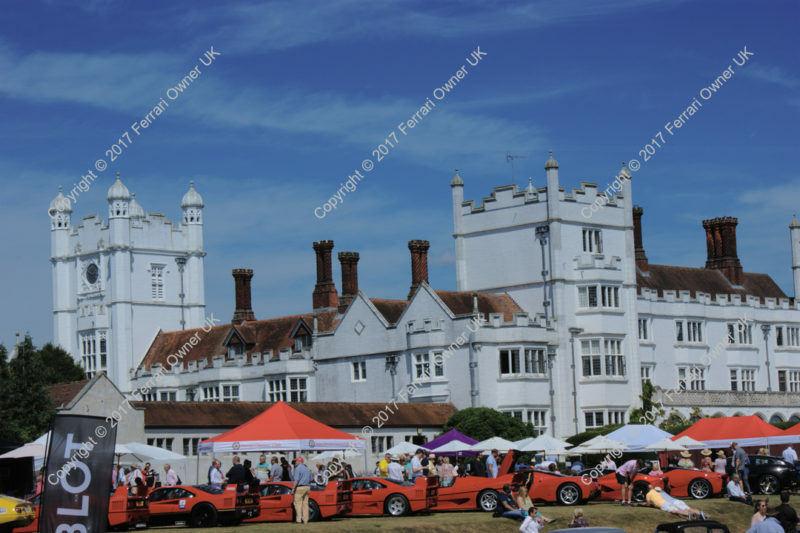 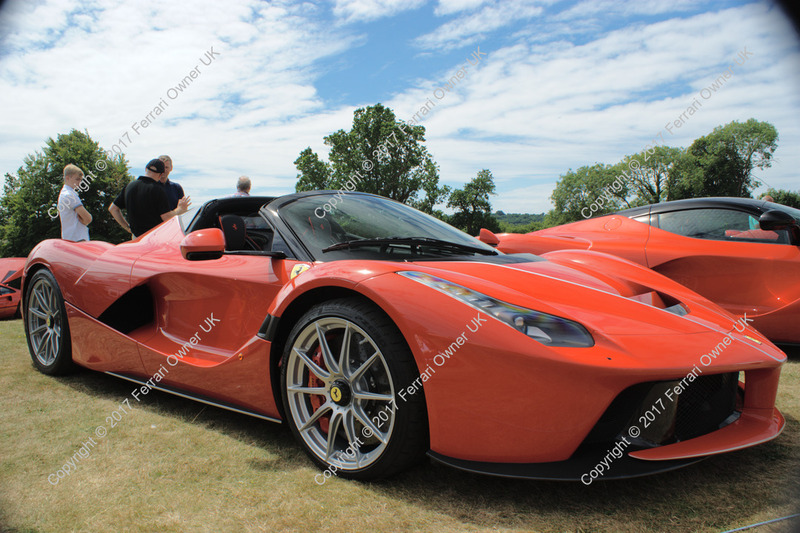 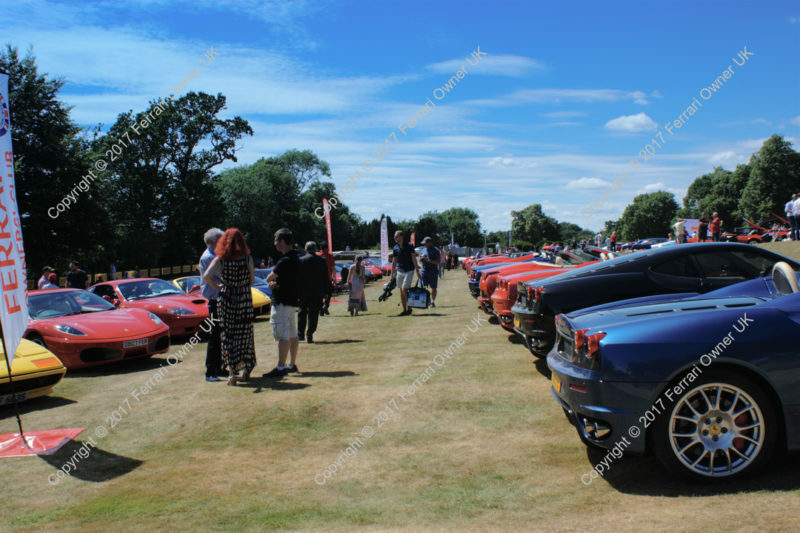 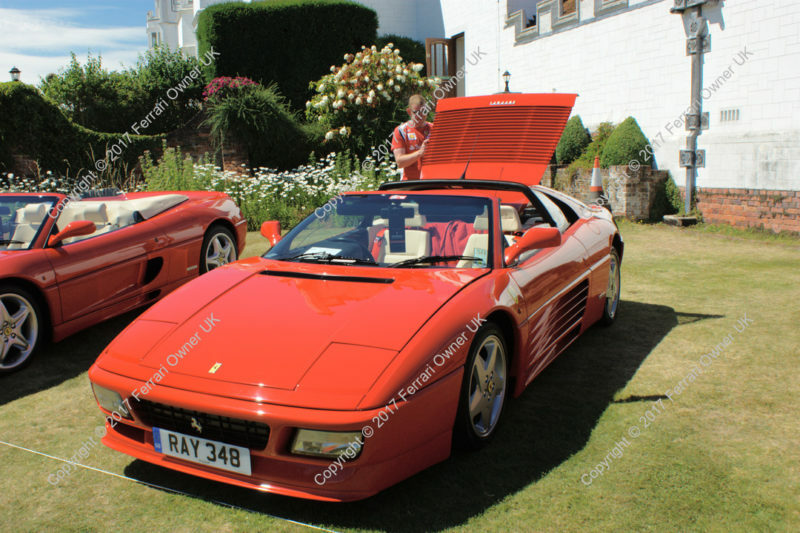 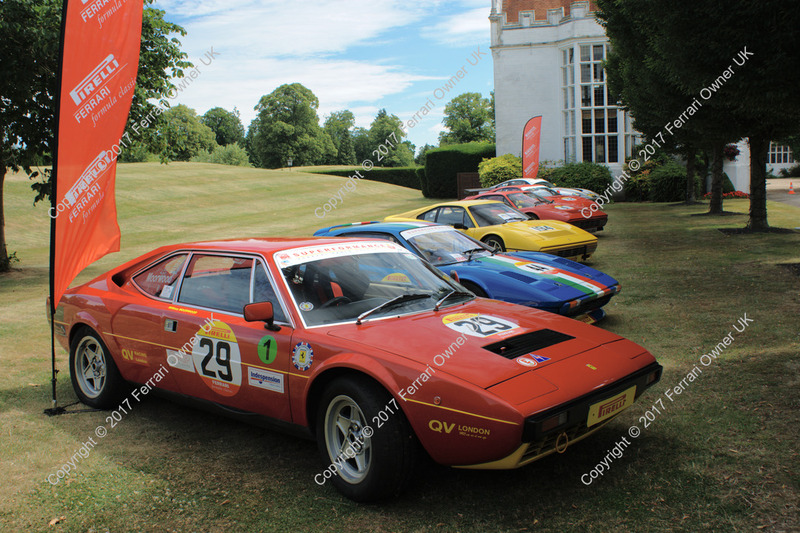 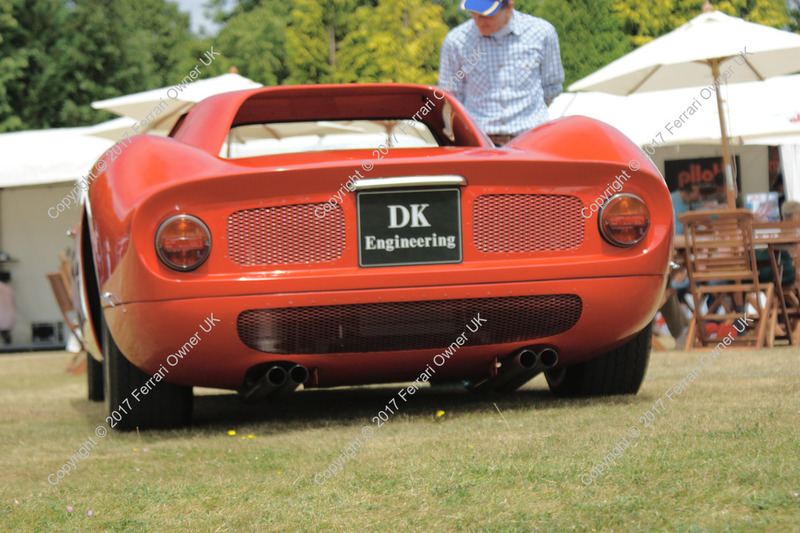 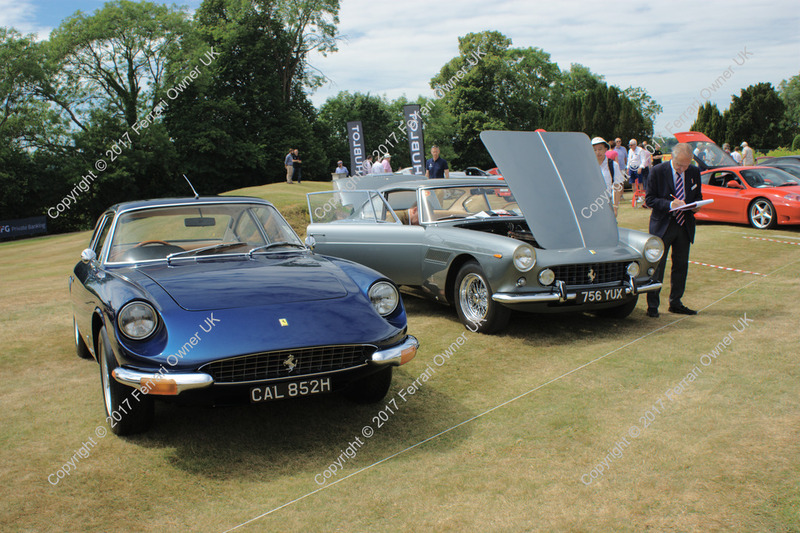 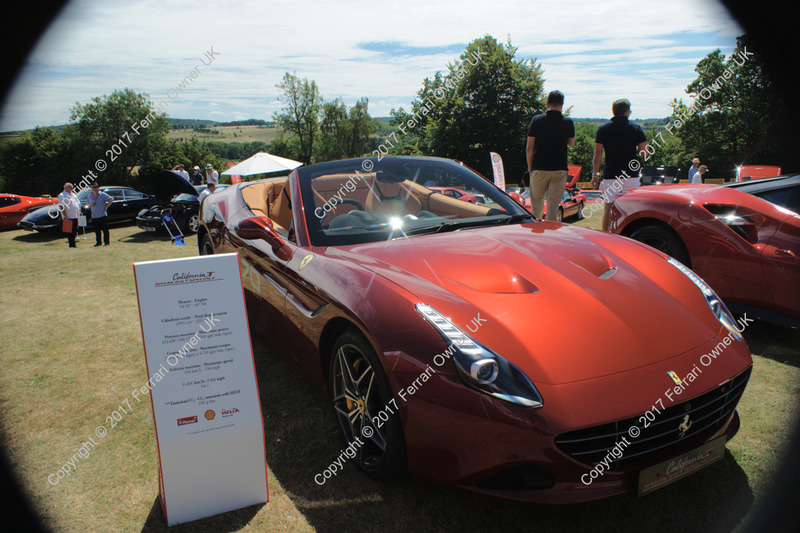 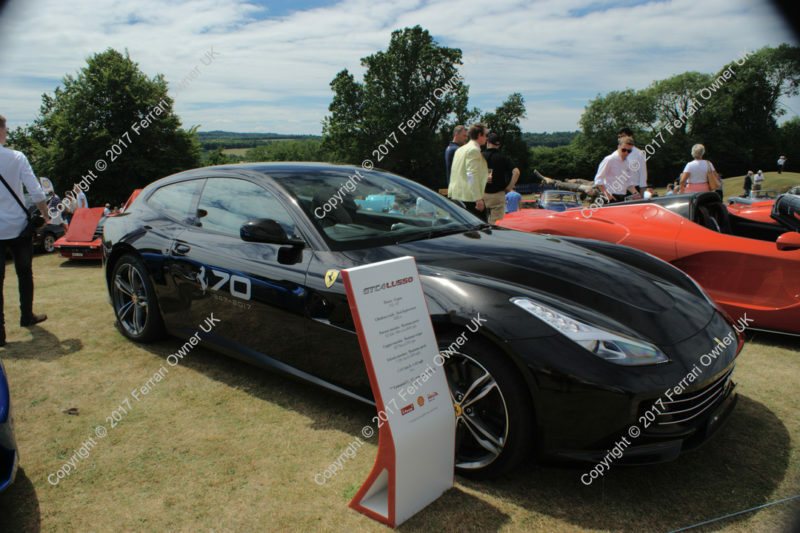 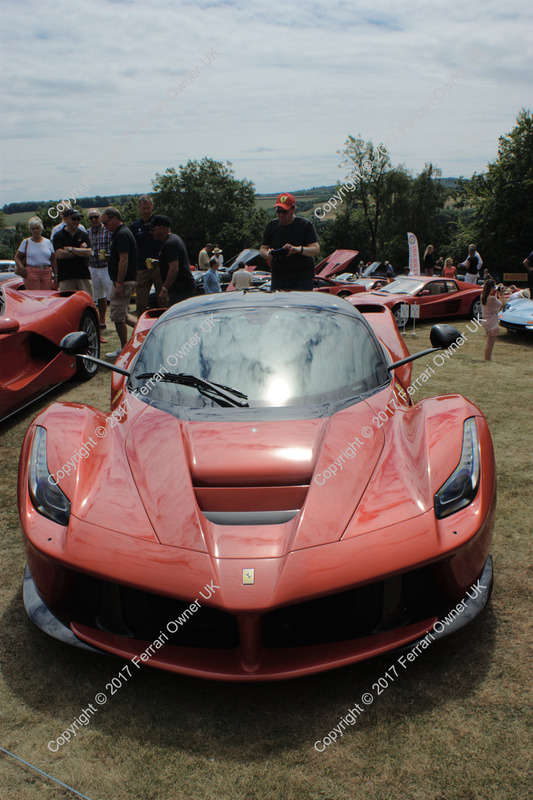 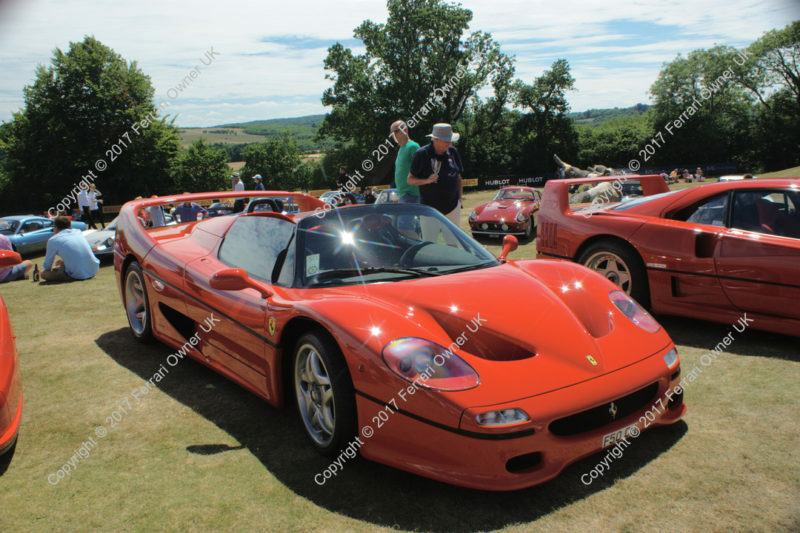 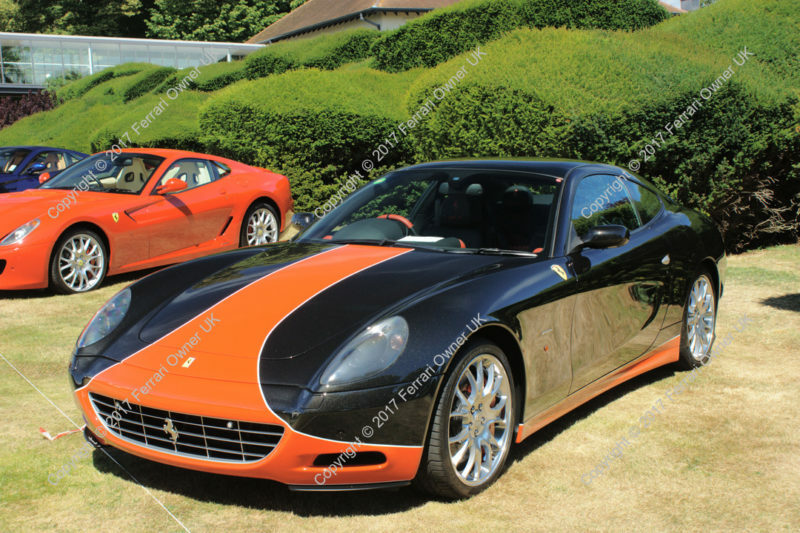 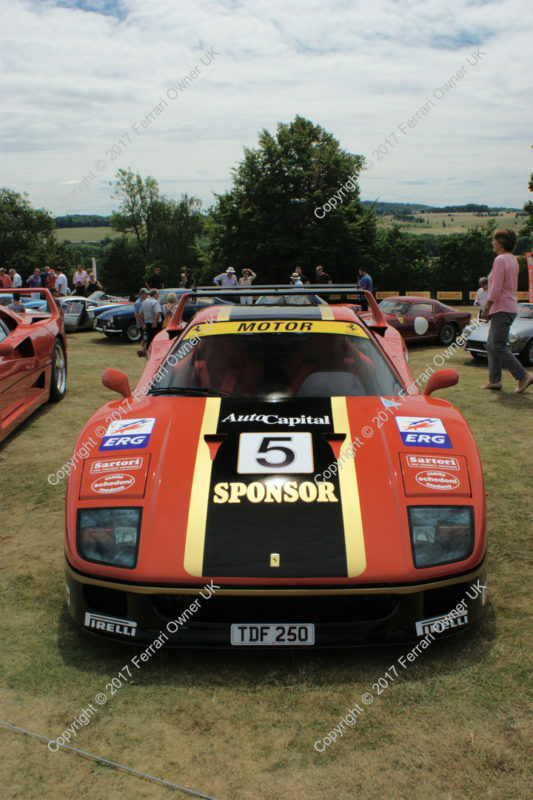 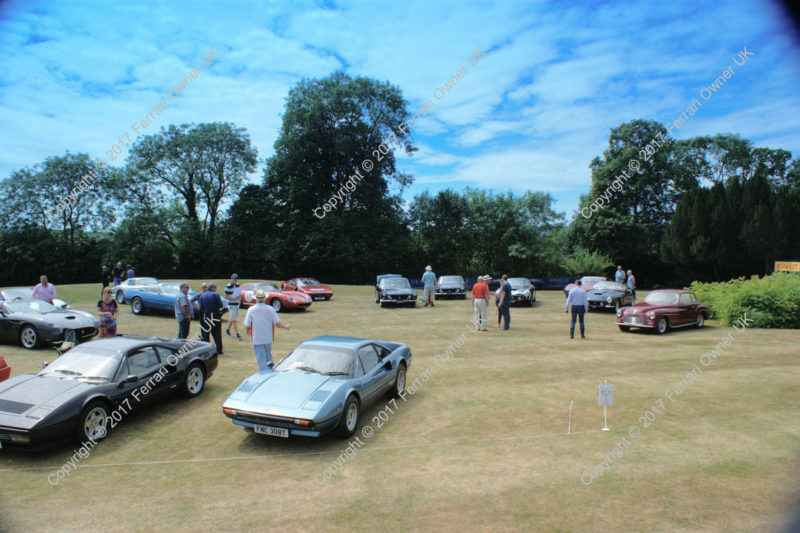 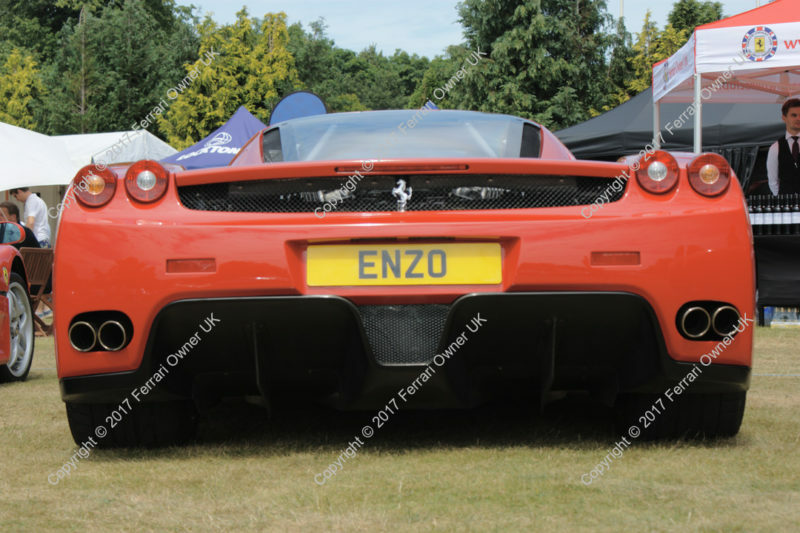 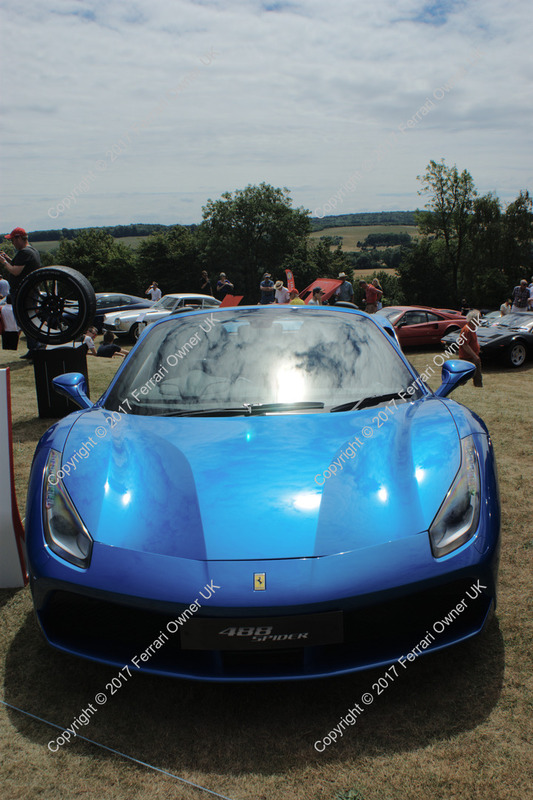 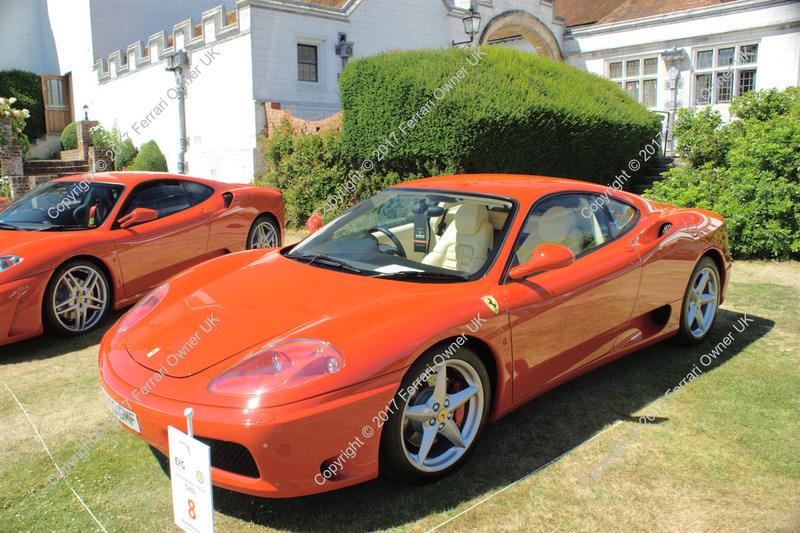 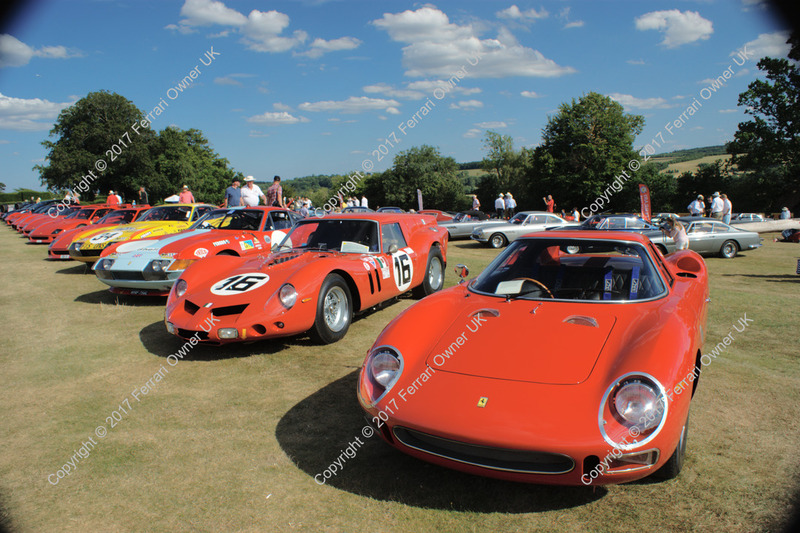 What a fantastic day it was to help celebrate the Ferrari Owners’ Club of Great Britain’s 50th Anniversary—in addition to Ferrari’s 70th—in the grounds of Danesfield House, alongside the clubs EFG sponsored Concours competition. 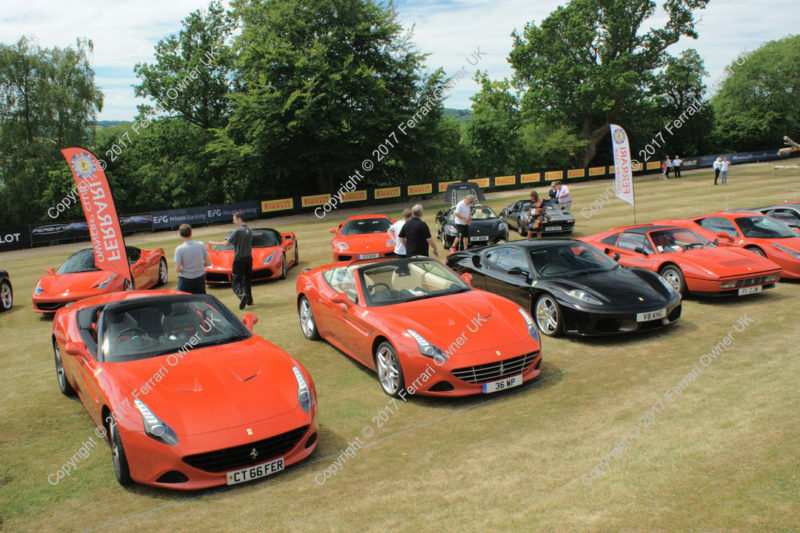 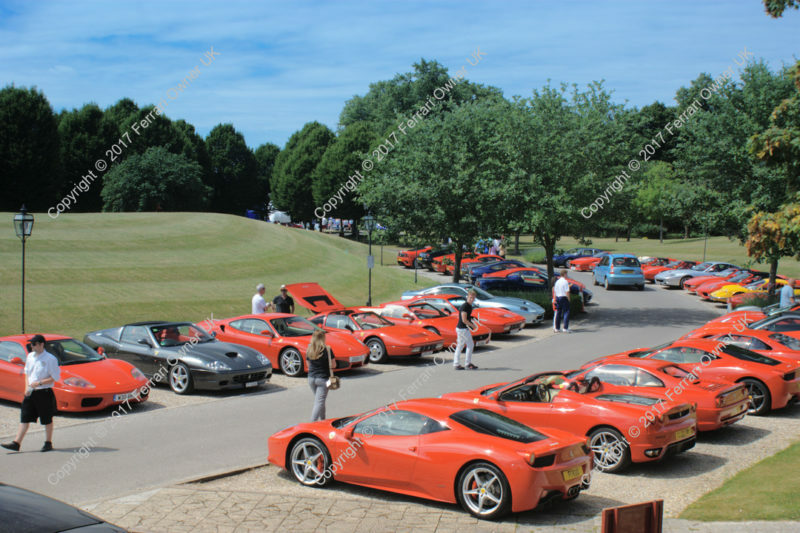 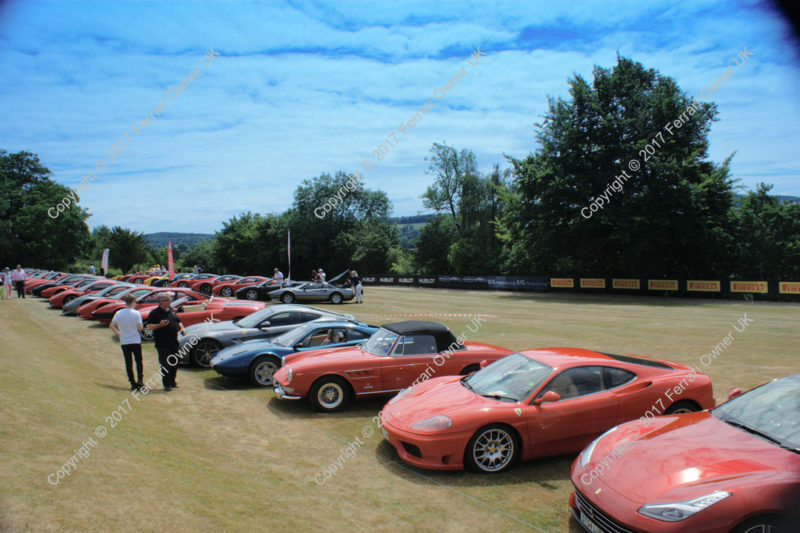 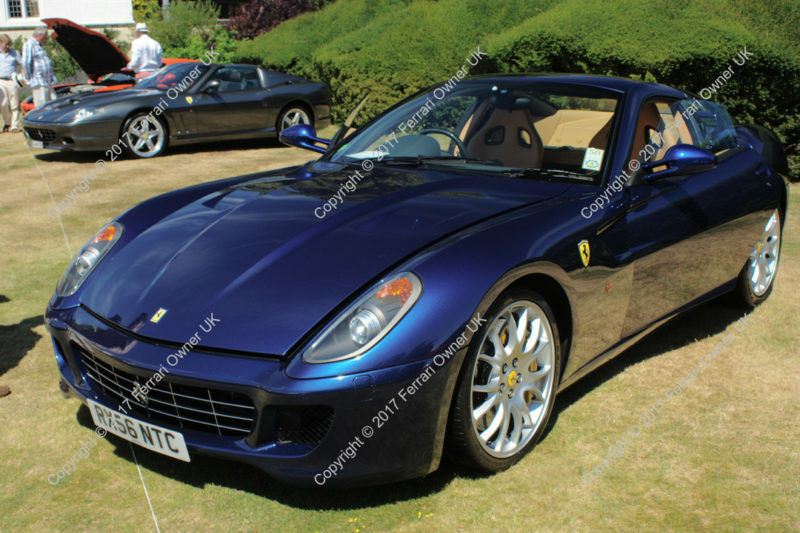 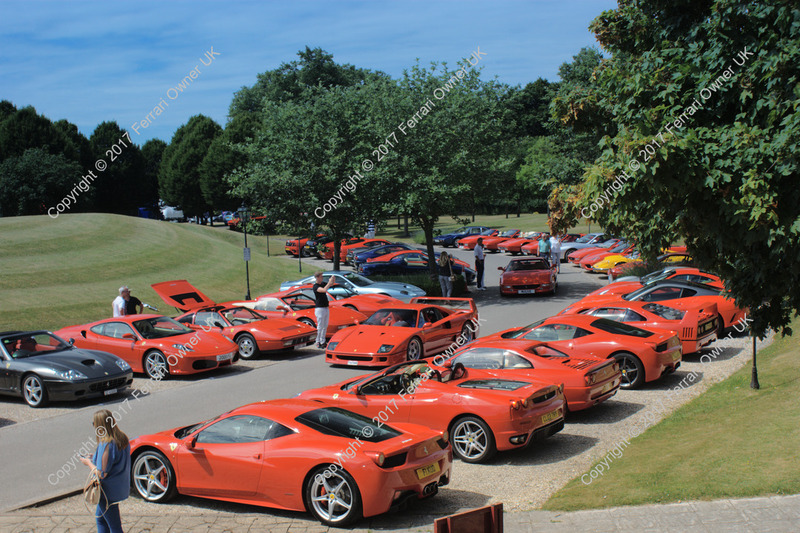 With nearly 250 Ferrari’s and over 1,000 members (reportedly), it was a beautiful day out in the sun. 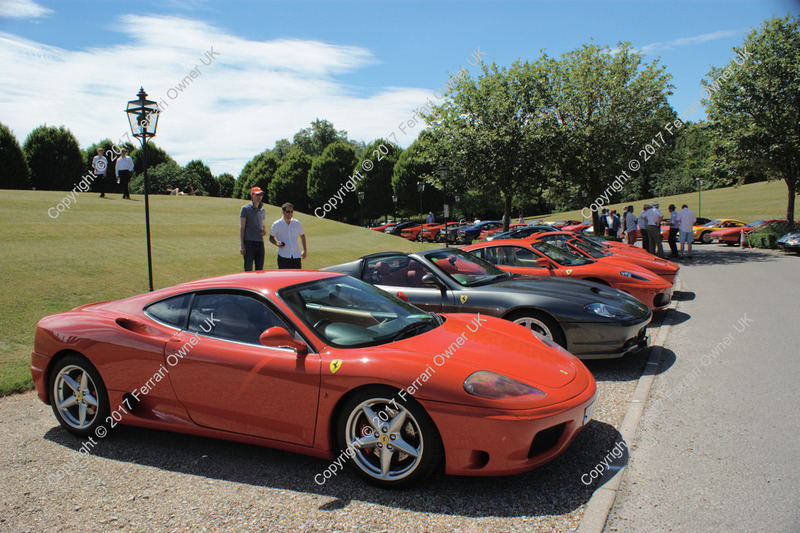 Before even arriving, we were expecting to see a few Ferrari’s on the road, with so many heading to the same place, and fate didn’t disappoint. 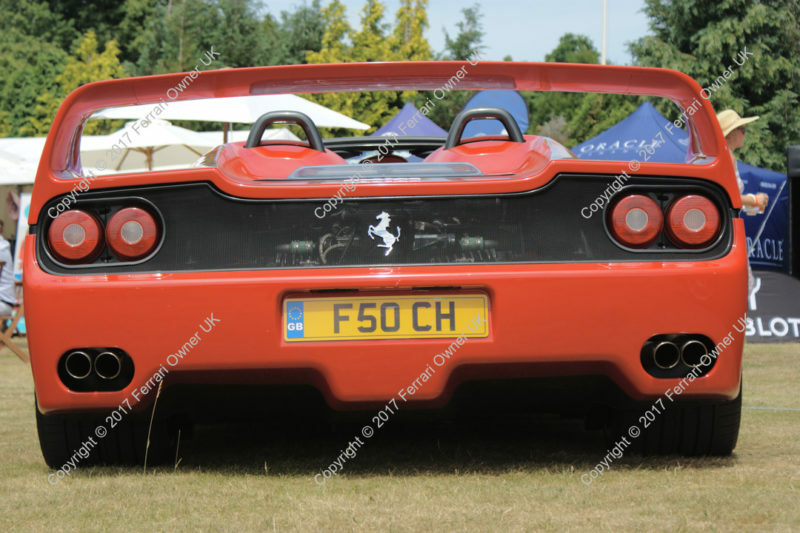 As we were joining the M40 we were stationary at the traffic lights and I glimpsed in my rearview mirror the unmistakable sight of an F40, which after merging on to the motorway slowly slid passed my lowly 360 Modena. 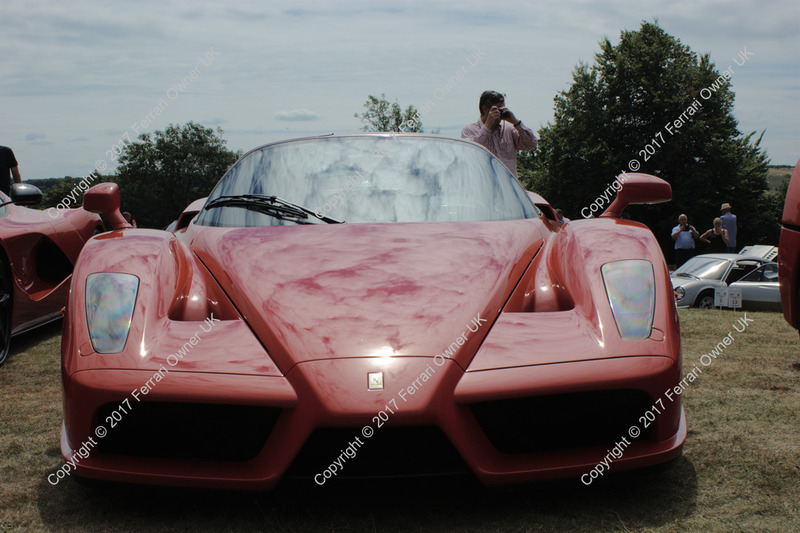 We hung on the tail of this rare beast reasoning that it was likely heading to the same place we were (and hopefully knew the easiest way there). 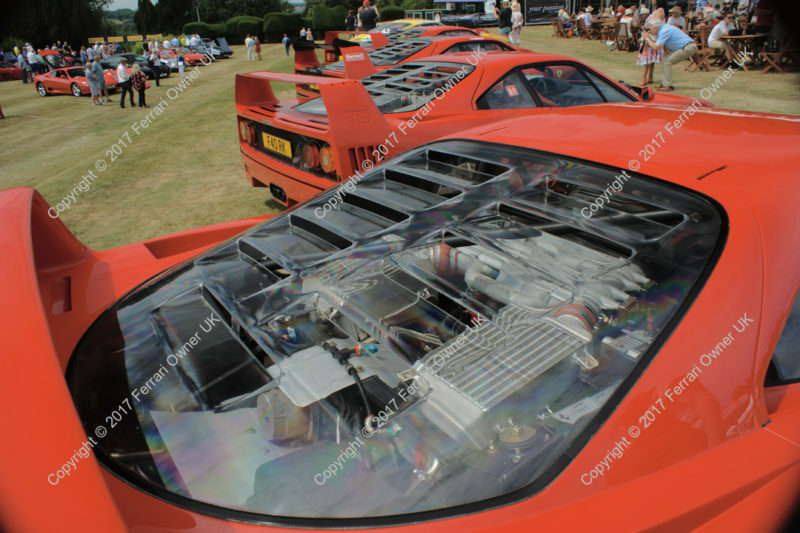 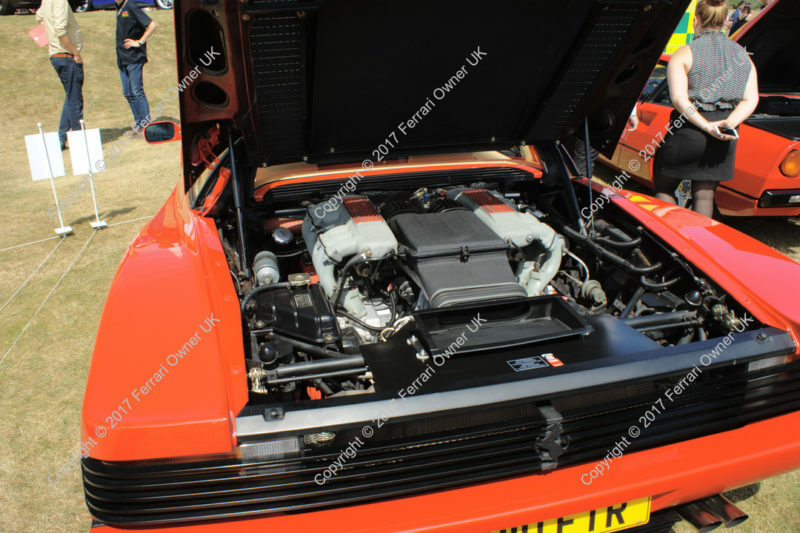 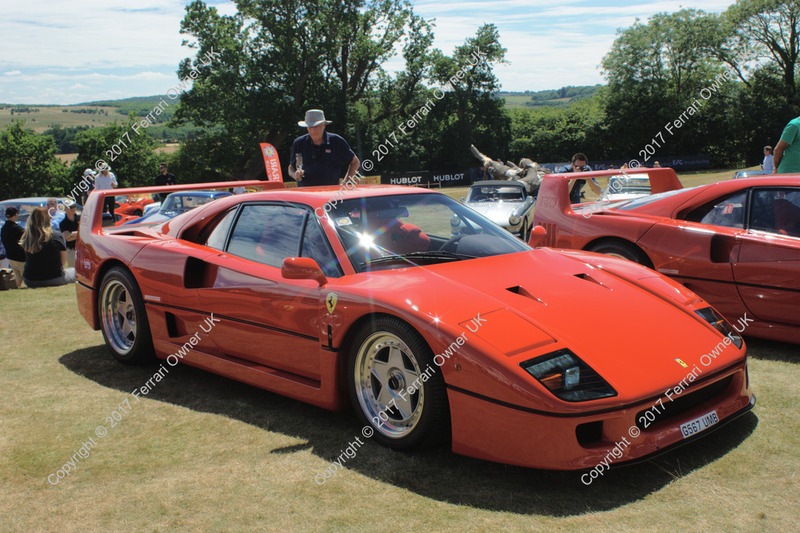 However as we were navigating Marlow, the thirst of the F40 proved too great and it pitted for fuel. 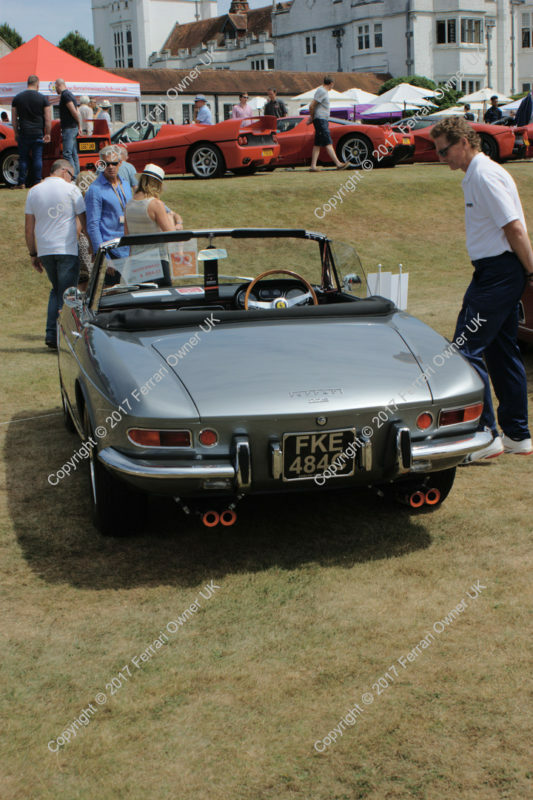 As we carried on, a 328 wondering in the opposite direction quickly turned round to follow me. 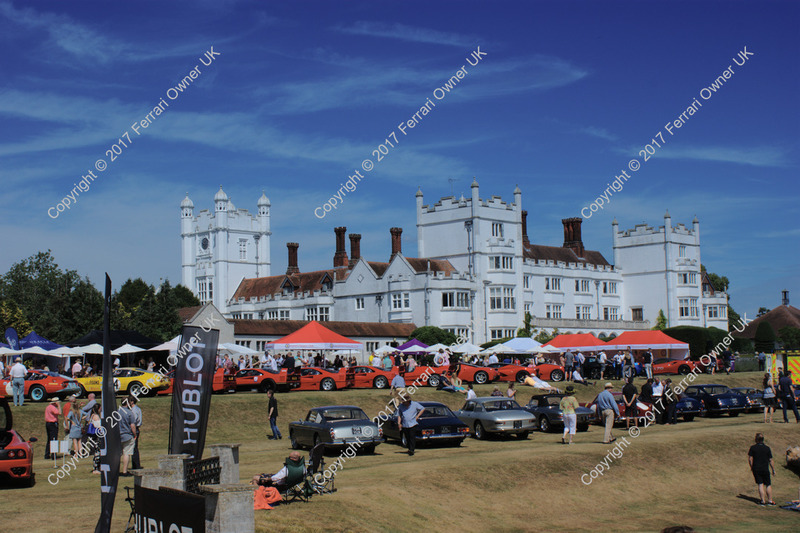 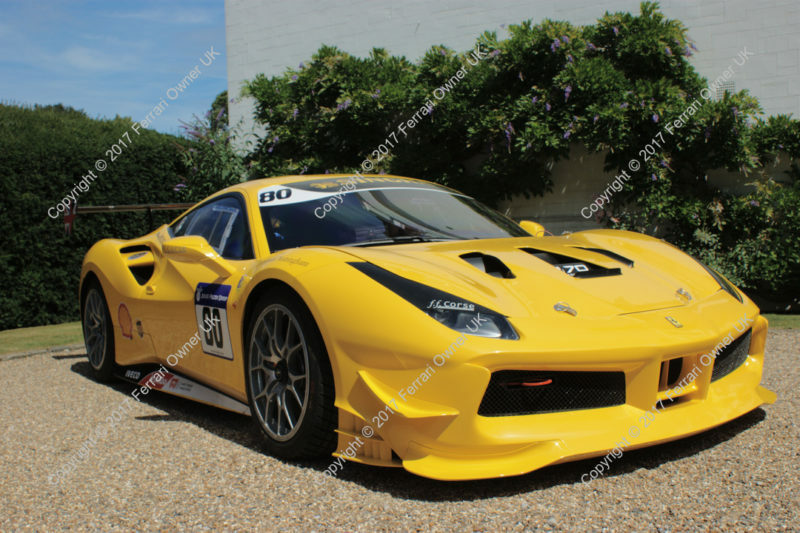 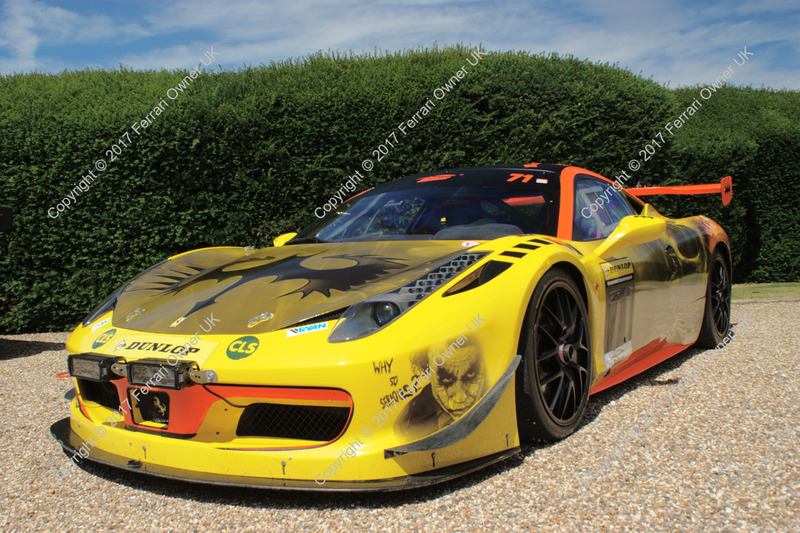 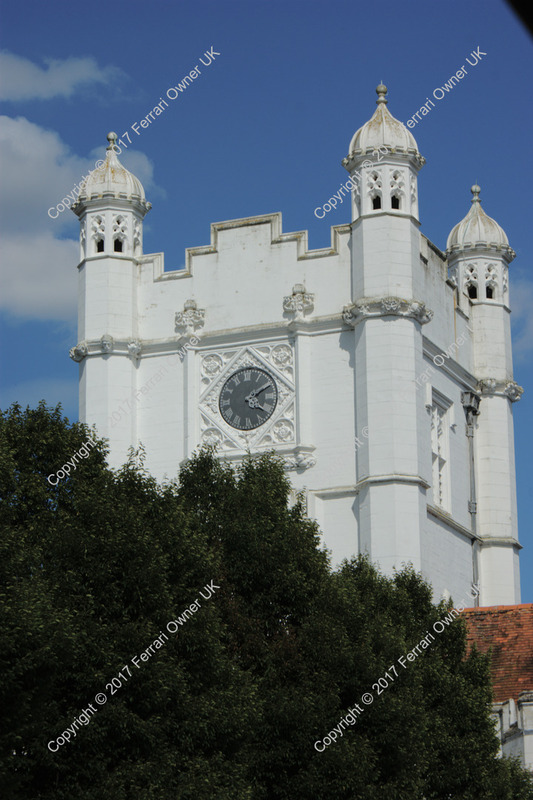 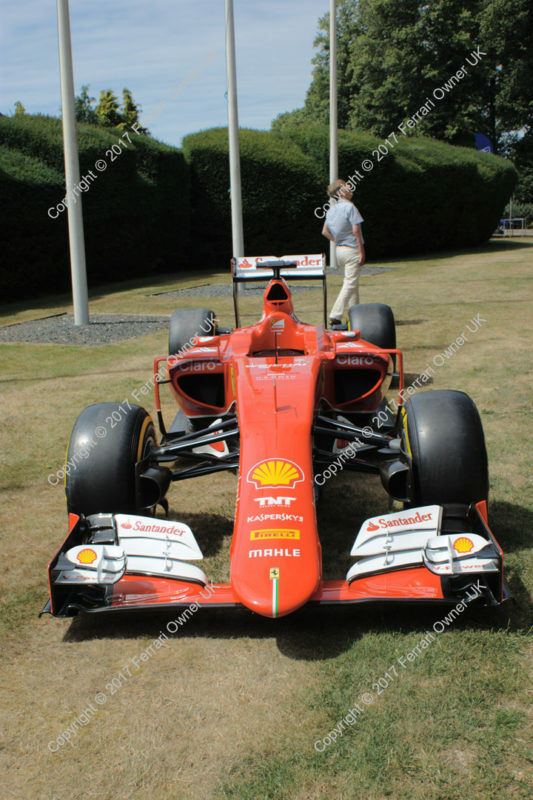 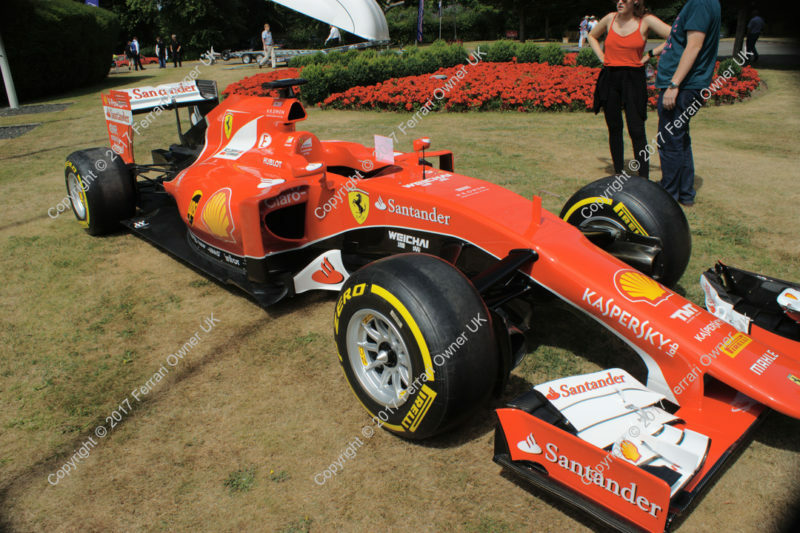 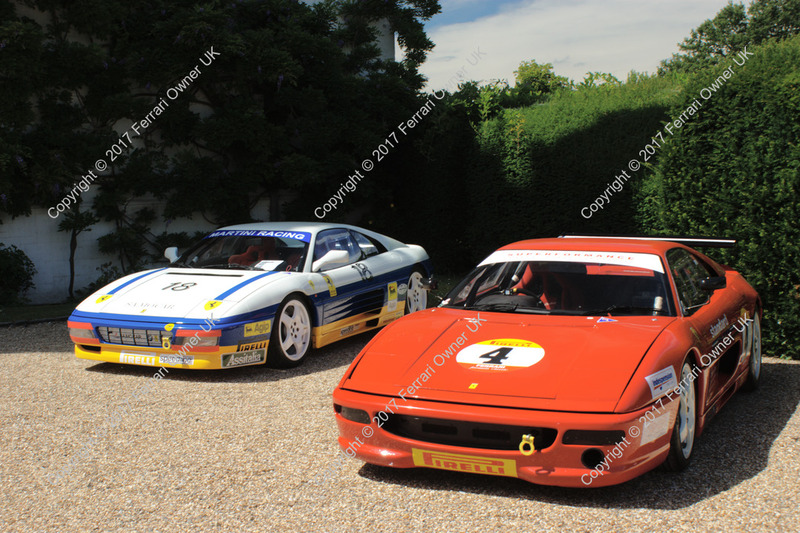 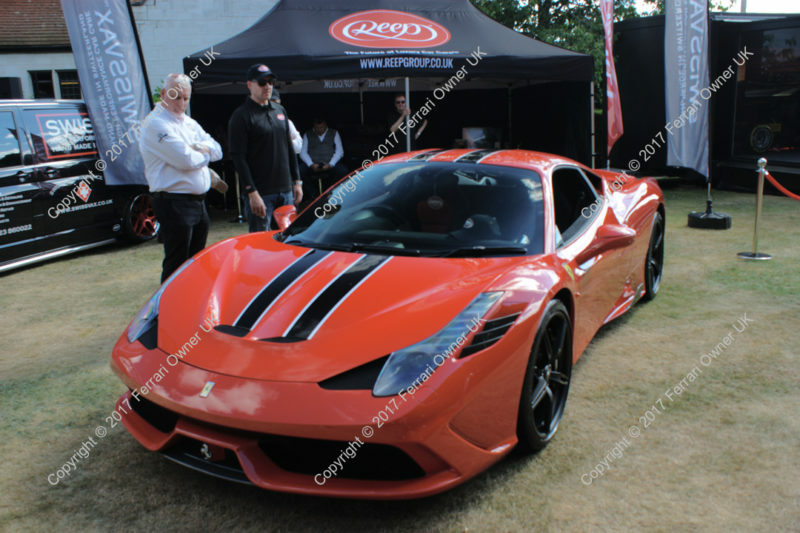 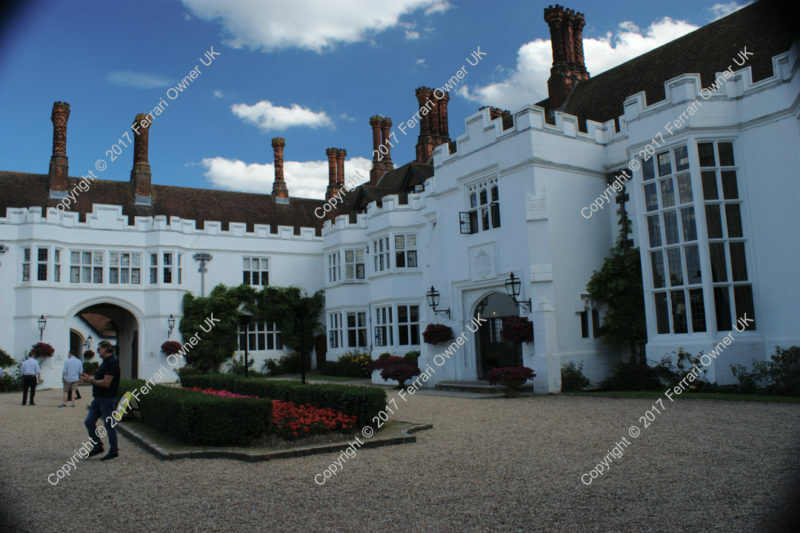 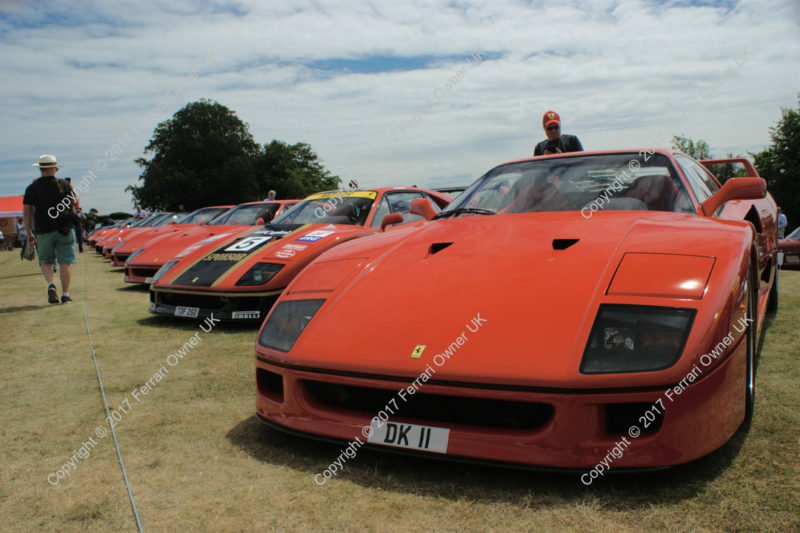 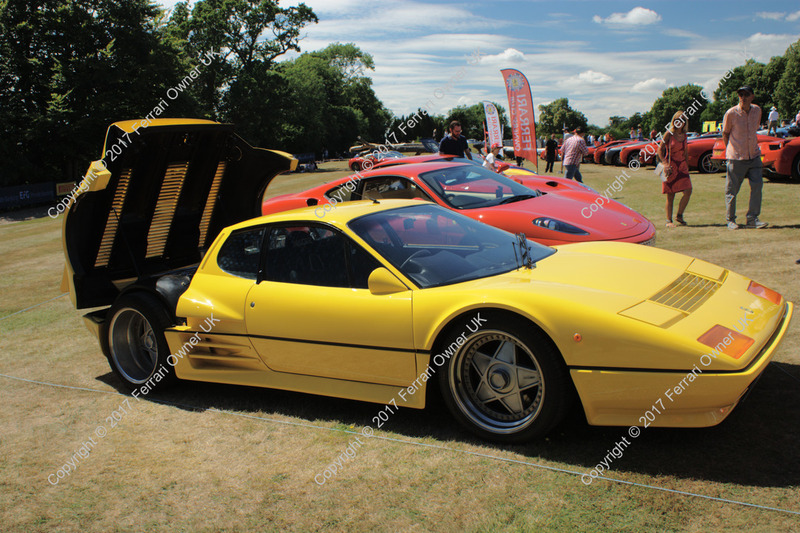 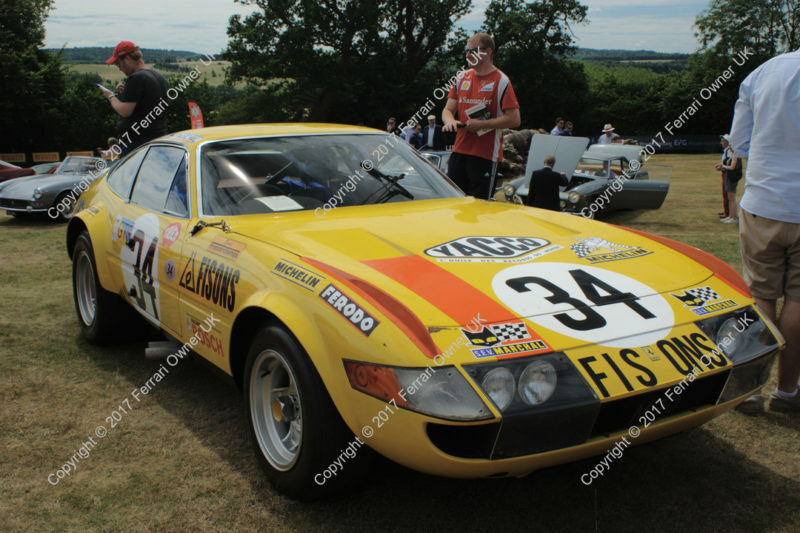 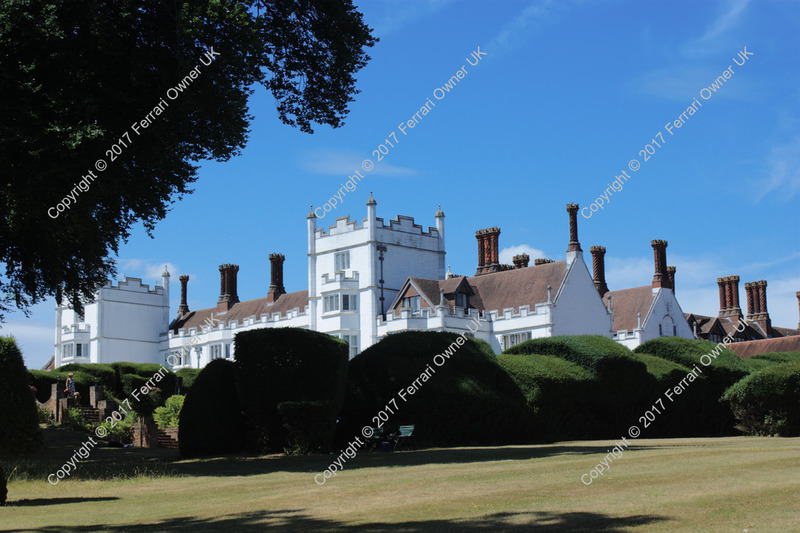 Before too long we had arrived at Danesfield House and were being directed to general (Ferrari) admission parking, which was just row after row of red, spotted with the occasional yellow, blue, or black. 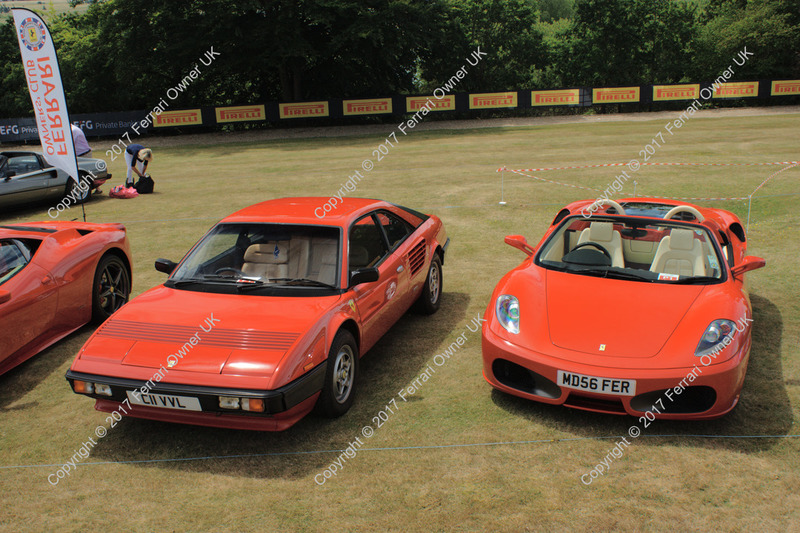 Armed with a camera and the programme for the day, we set off in search of more Ferrari’s. 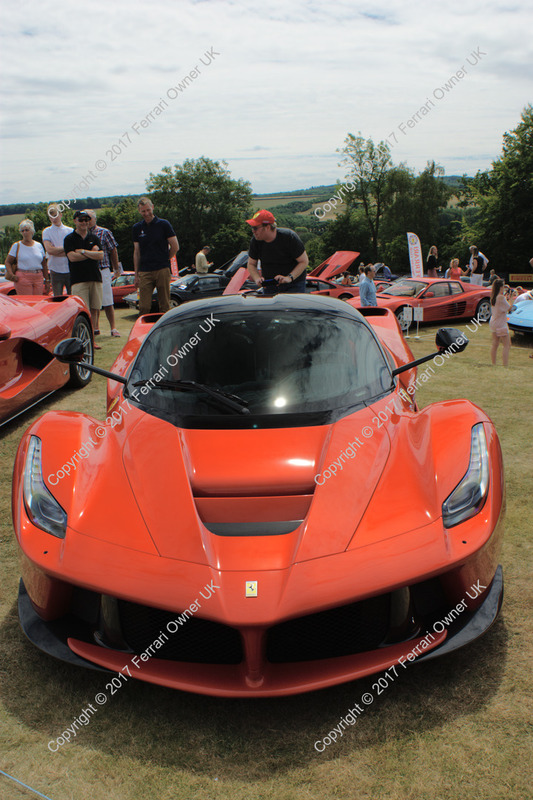 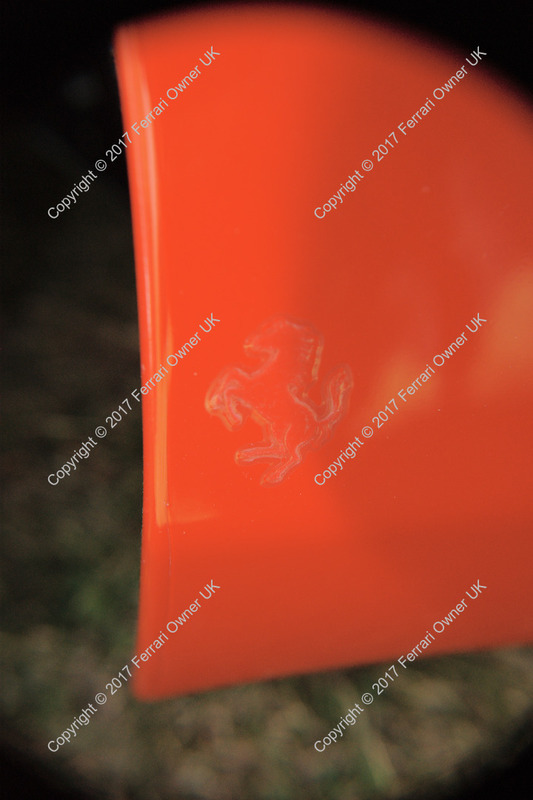 And Ferrari’s we did find, everything from 250 GTE’s all the way through a 246 GT Dino and on to the latest limited edition: La Ferrari Aperta. 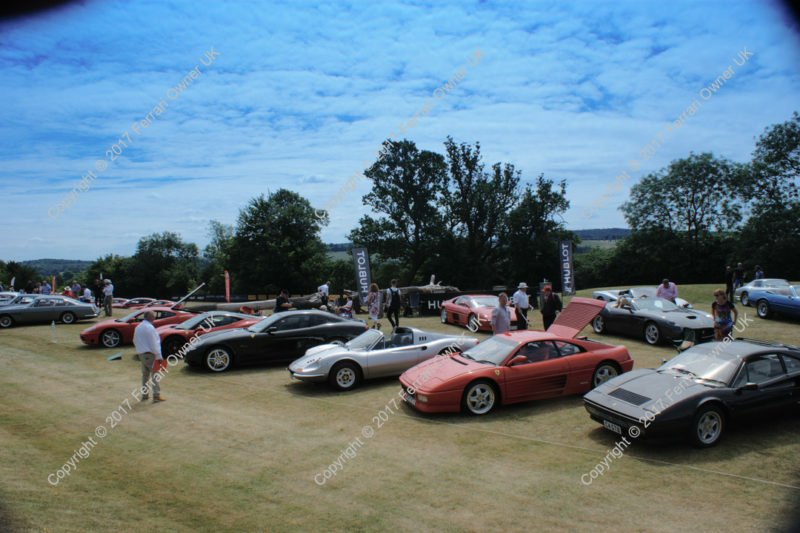 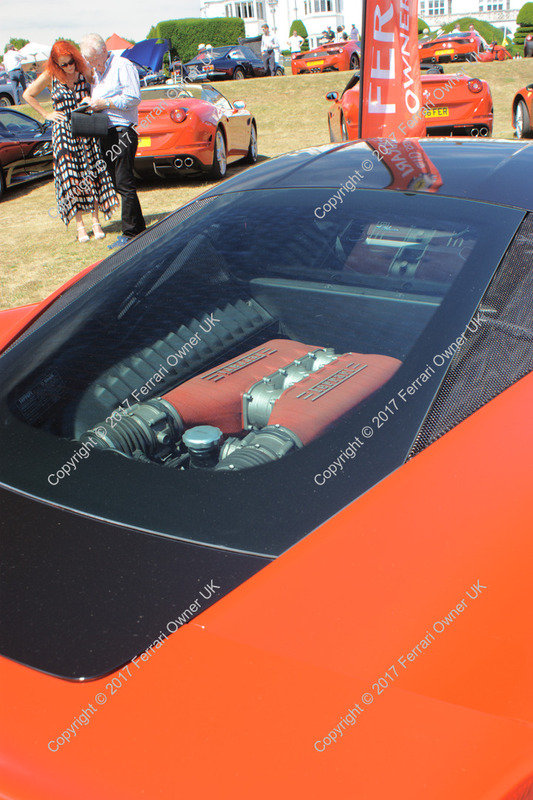 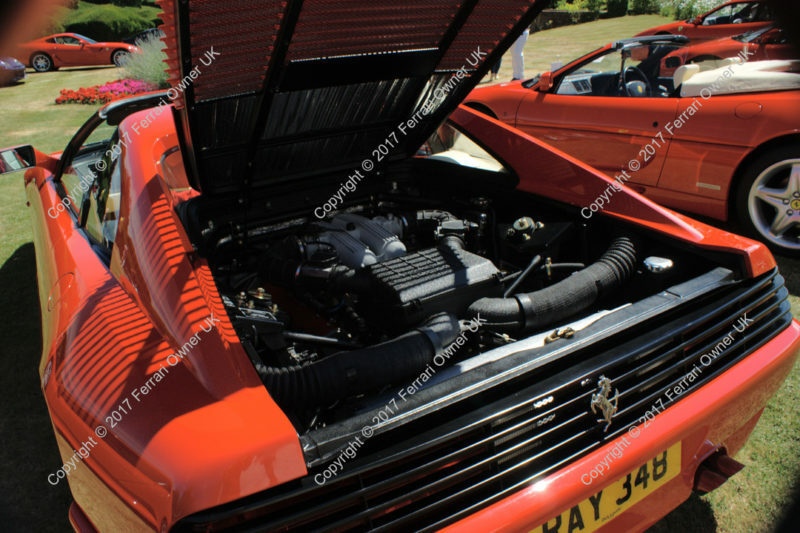 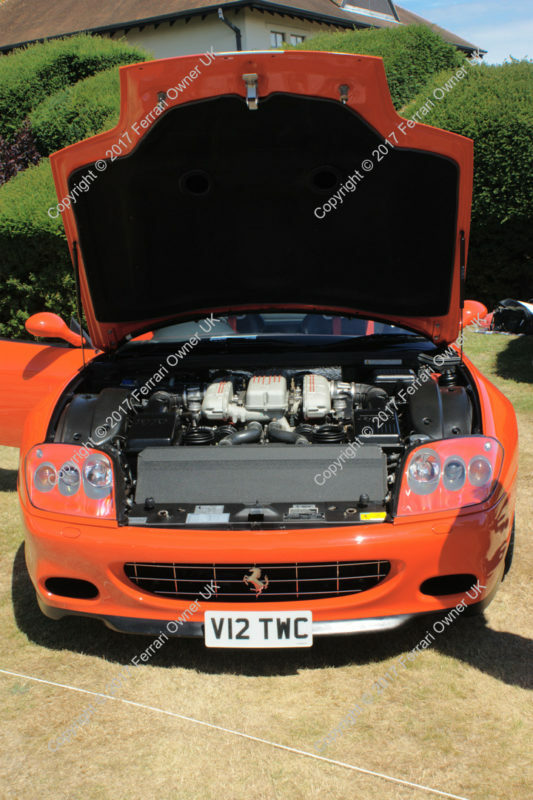 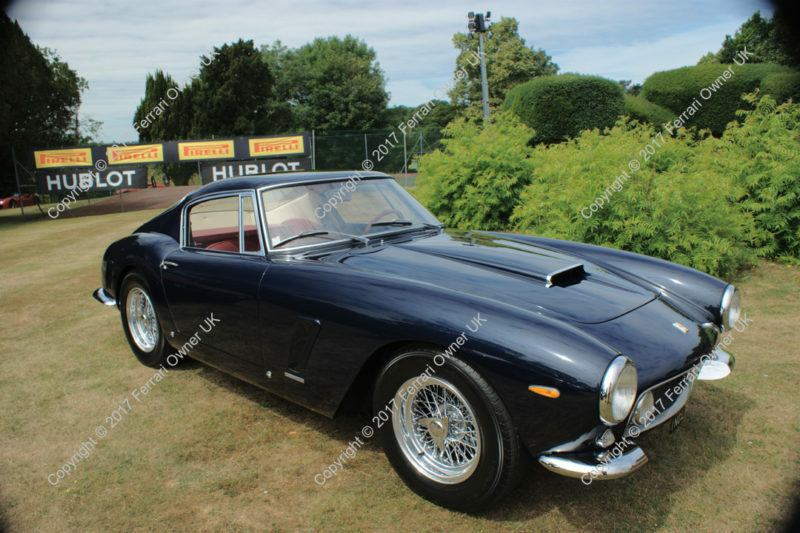 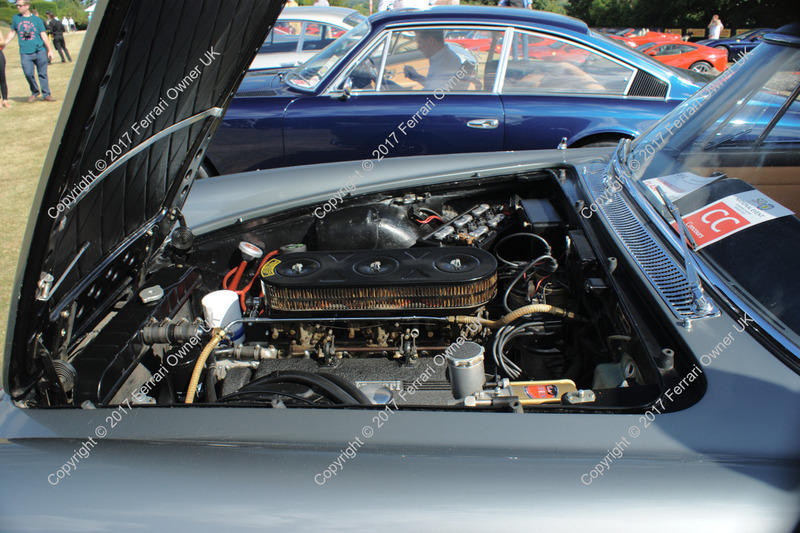 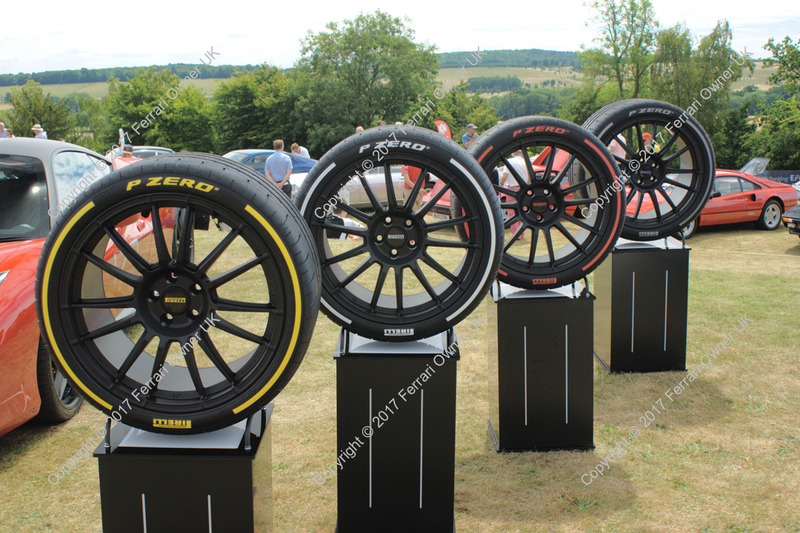 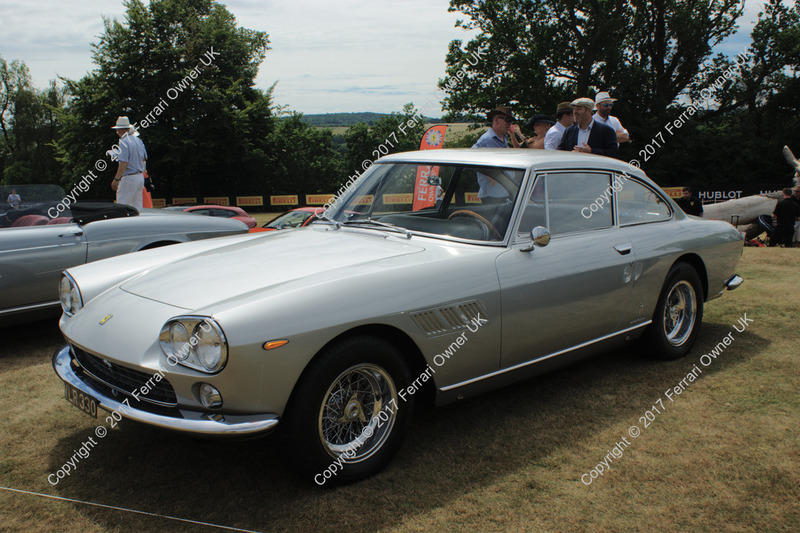 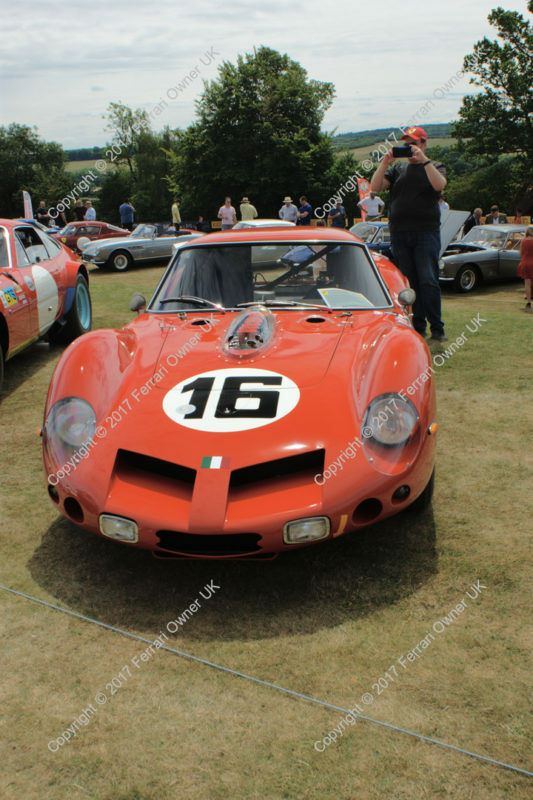 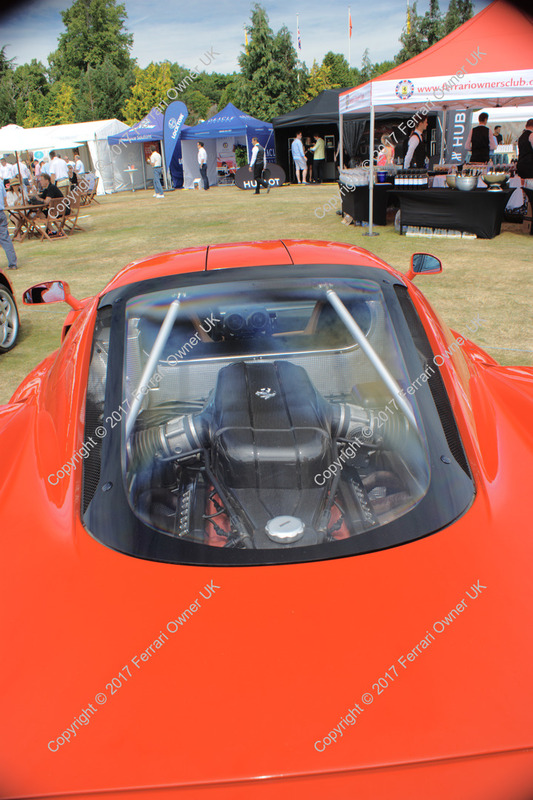 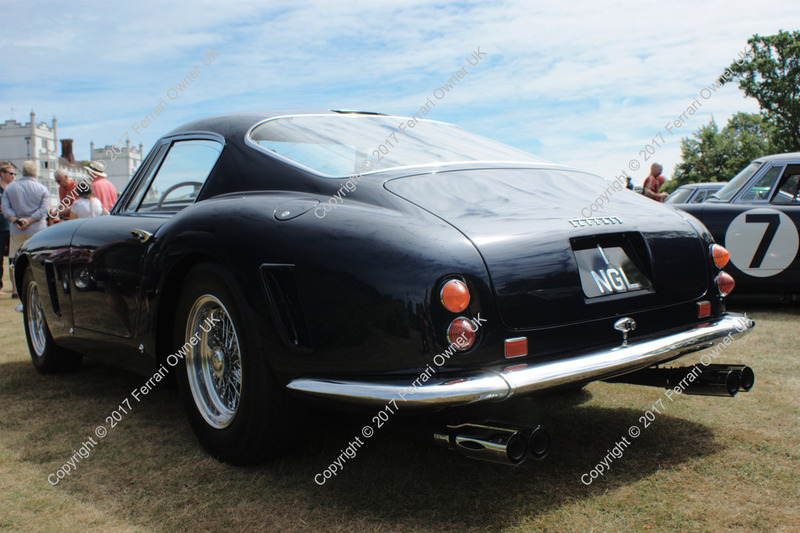 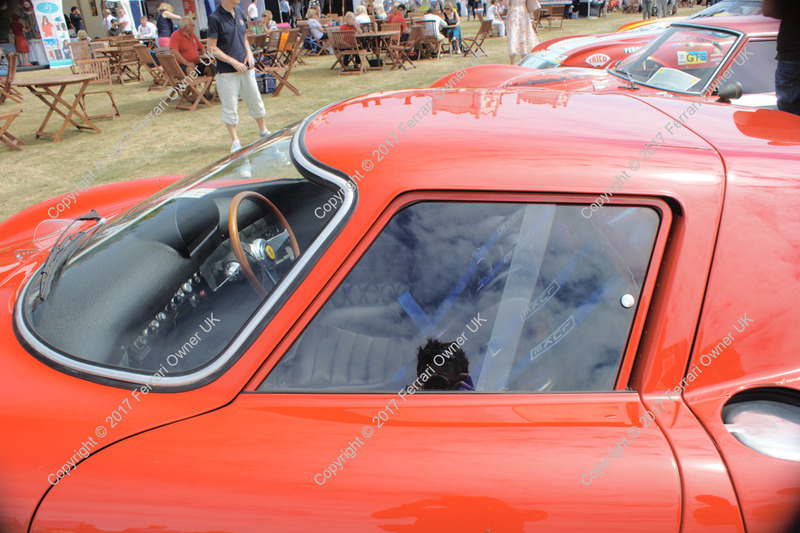 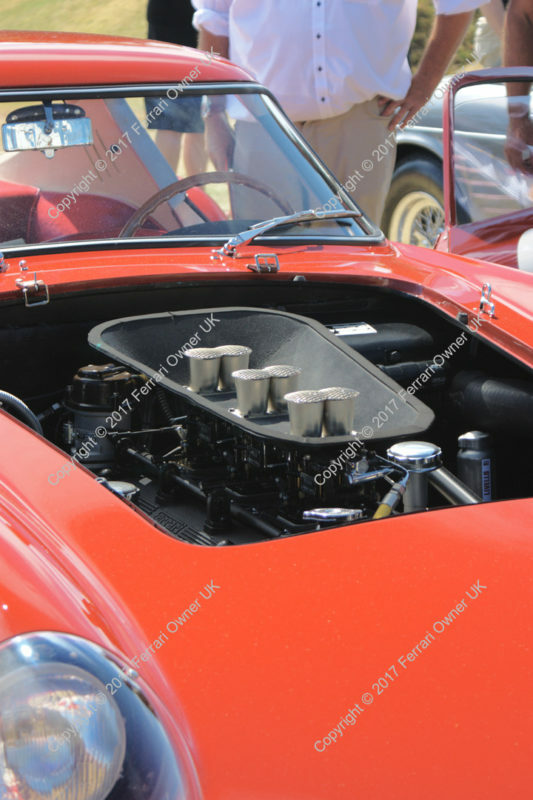 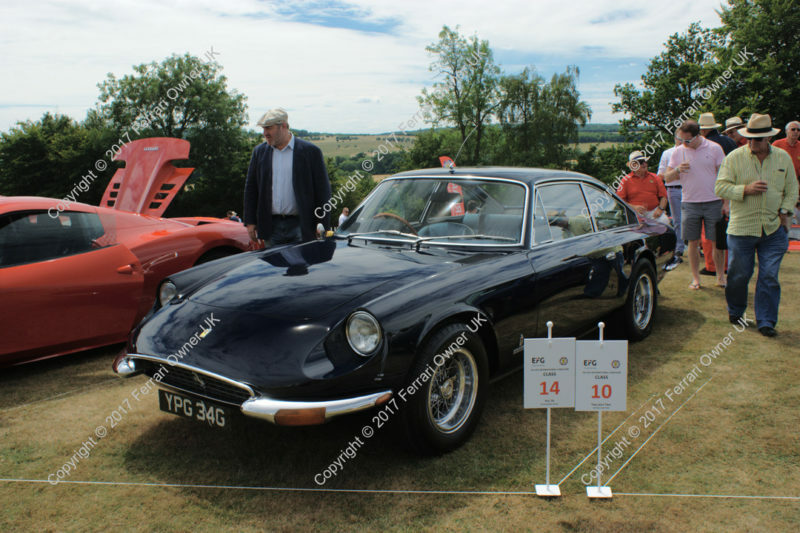 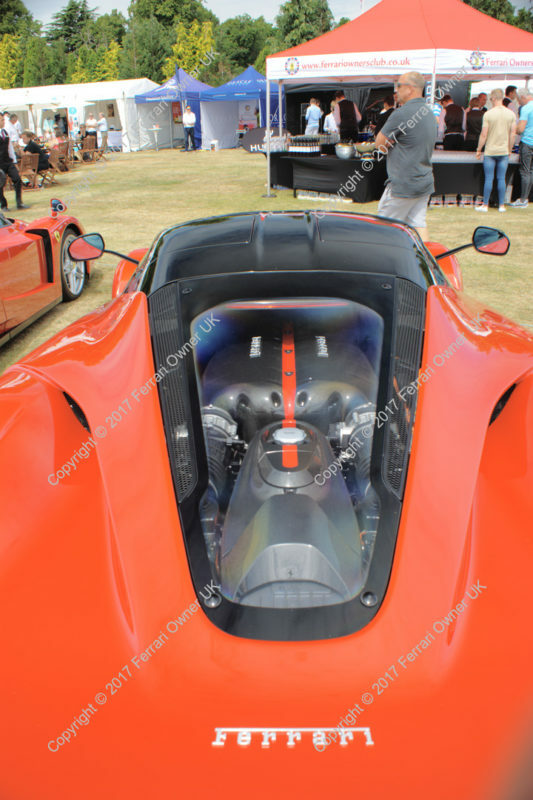 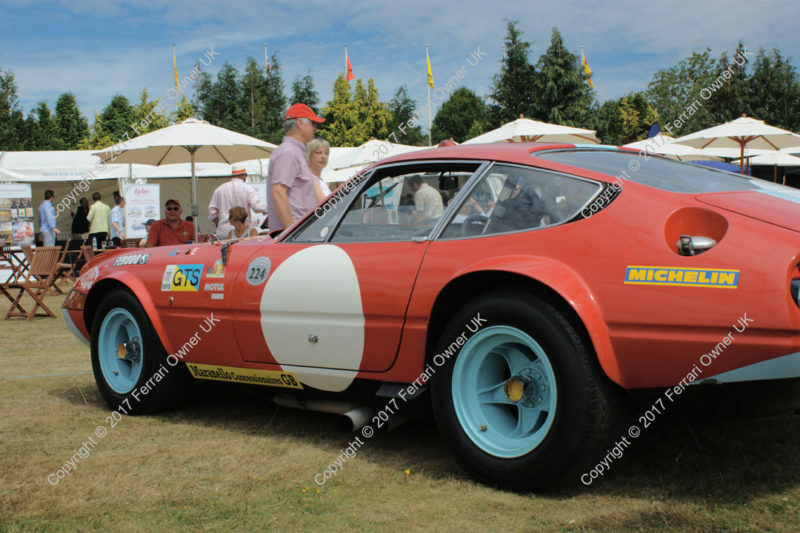 Although none of the limited series were actually entered in the concours but were just on static display bordering the champagne bar and seating area. 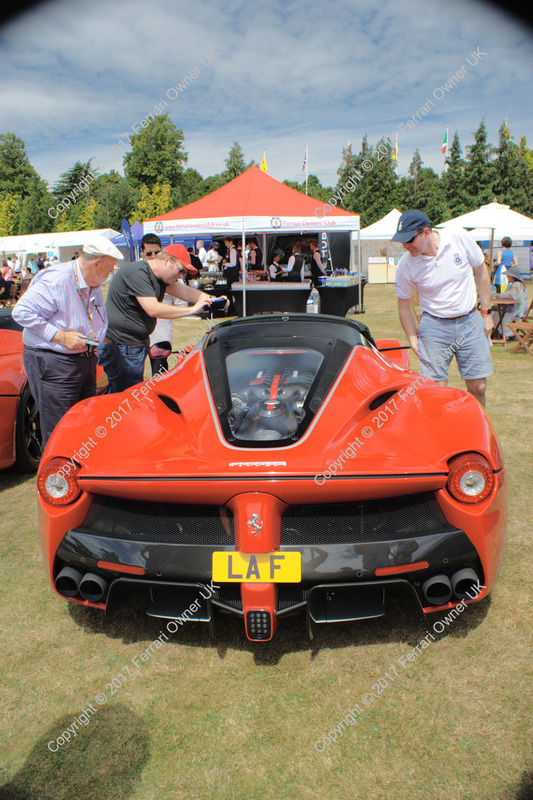 Following lunch and the Formula 1, there was several musical acts to keep us all entertained throughout the afternoon, as the judging continued. 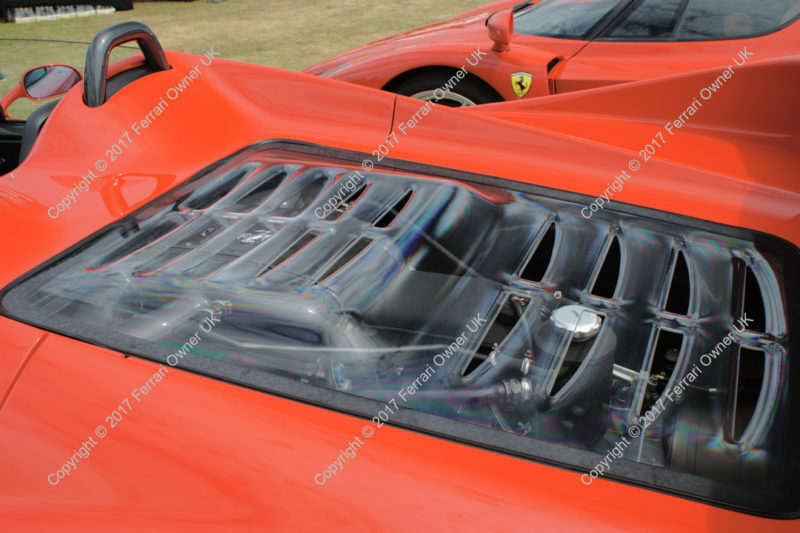 Further exploration found us the concours entrants in the 90’s & Millennium V8 category, which just highlighted what my 360 could be with all of the swirl marks buffed out, and the headlights thoroughly cleaned, et cetera. 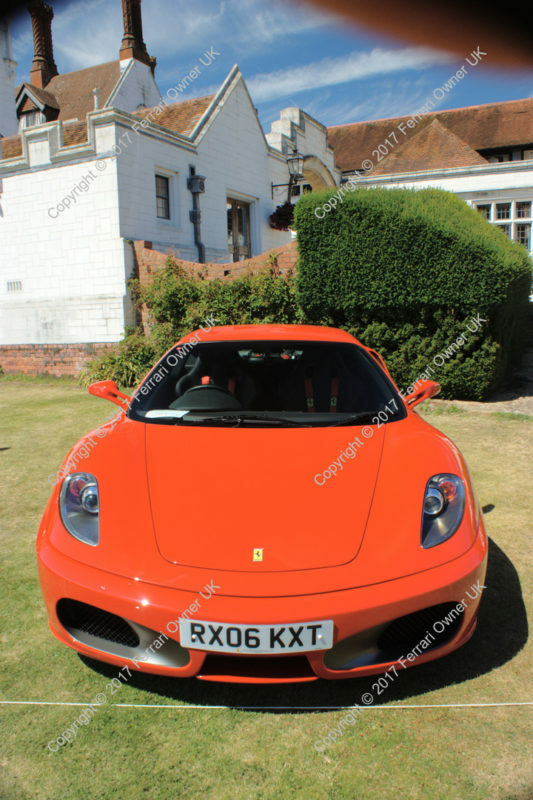 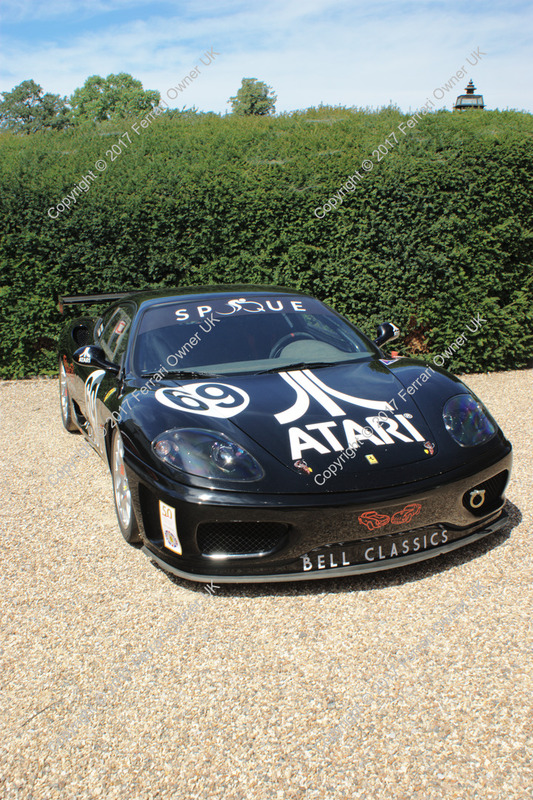 Maybe later in my Ferrari ownership adventure I will be persuaded to invest more in bringing my 360 up to perfect condition, but for now I get (I feel) more enjoyment out of driving it. 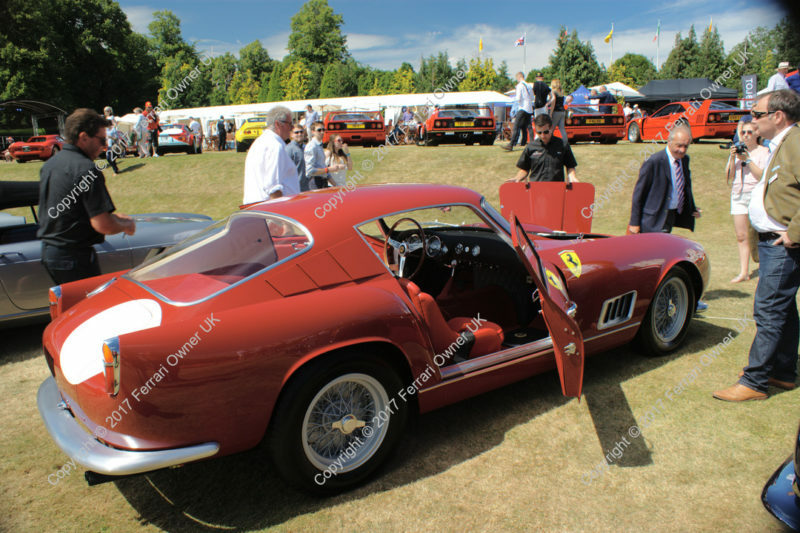 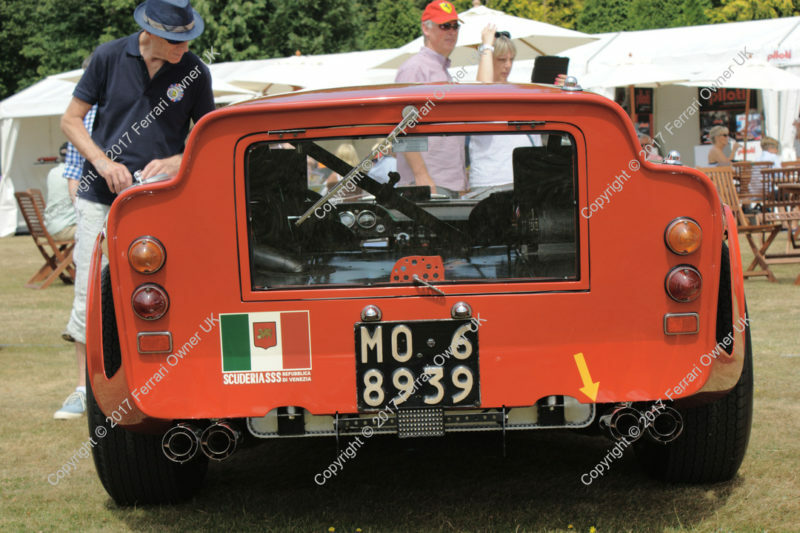 We had planned to stay until the judges awarded their prizes for the concours, but when its expected time of 5–5:30 came and went, we decided to call it a day. 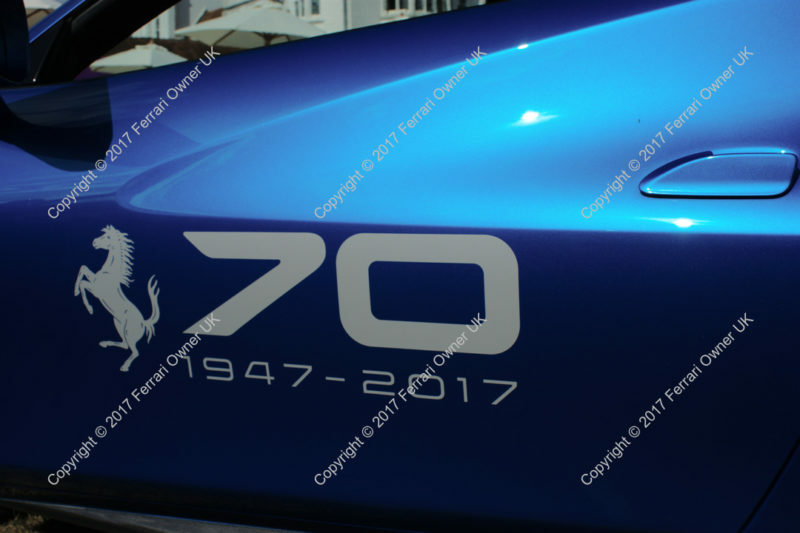 Whilst it would have been nice to see who won what, no doubt there will be an announcement with the next club newsletter. I will update this post at that time with the results. 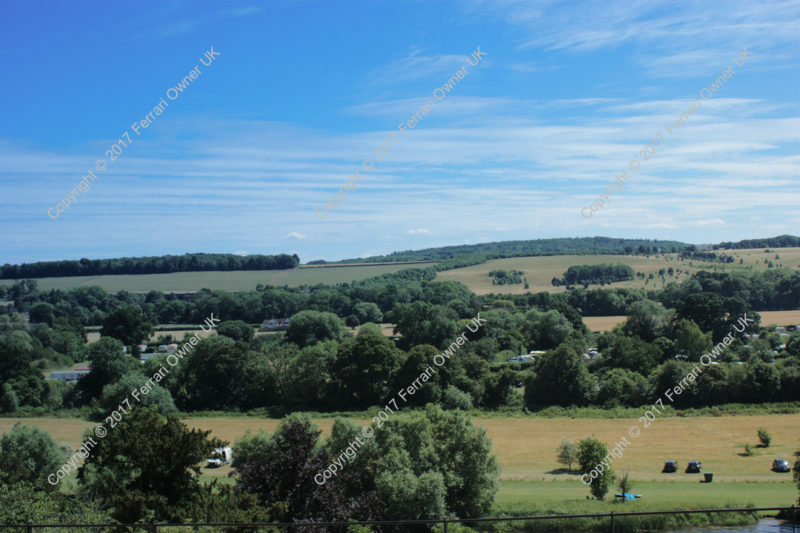 So until then, back to enjoying the summer standing by the BBQ with a beer in hand.